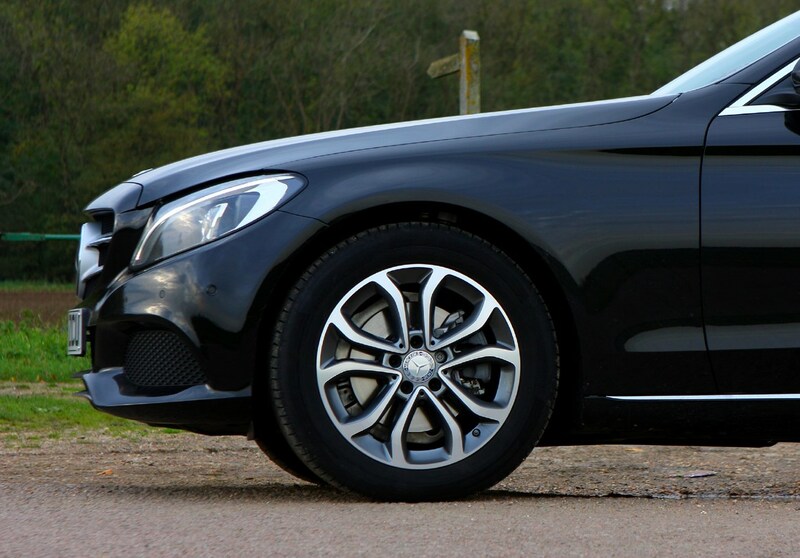 Insurance group: 23 - 49 How much is it to insure? 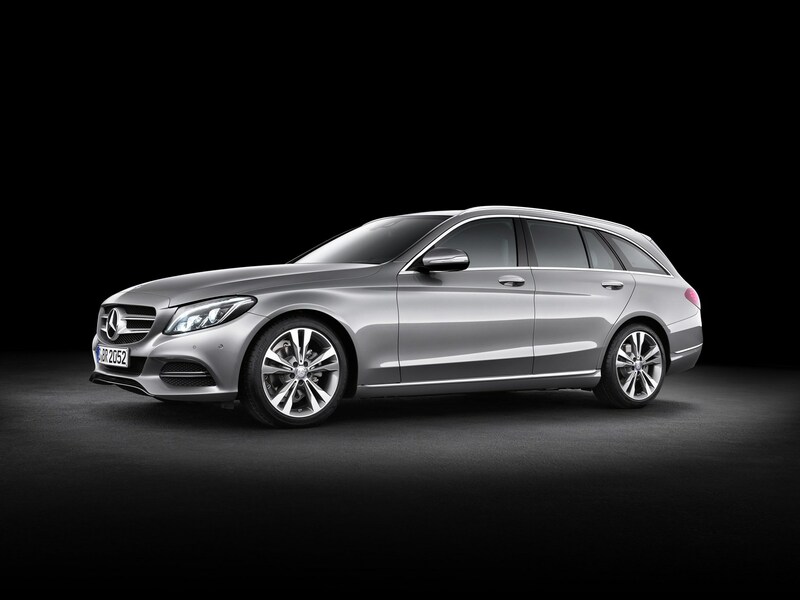 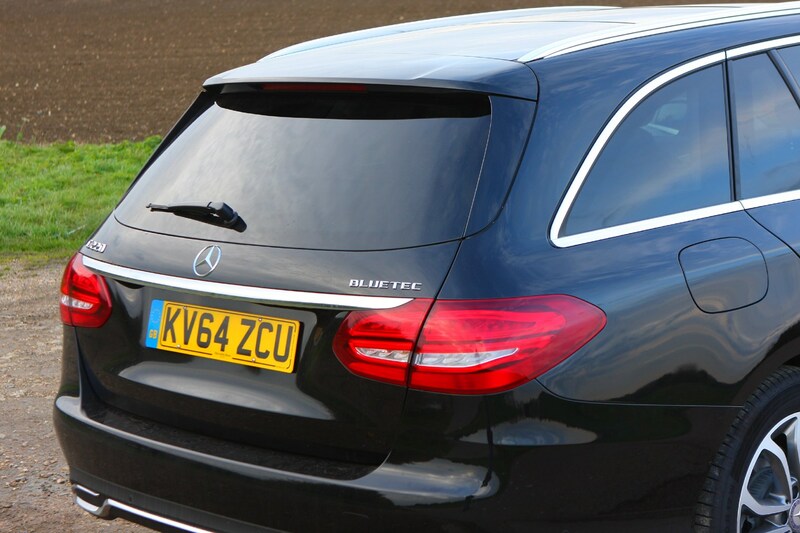 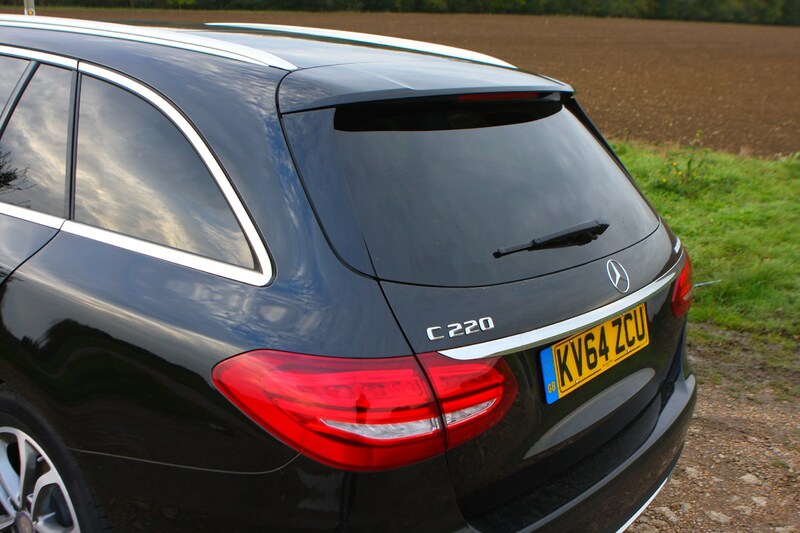 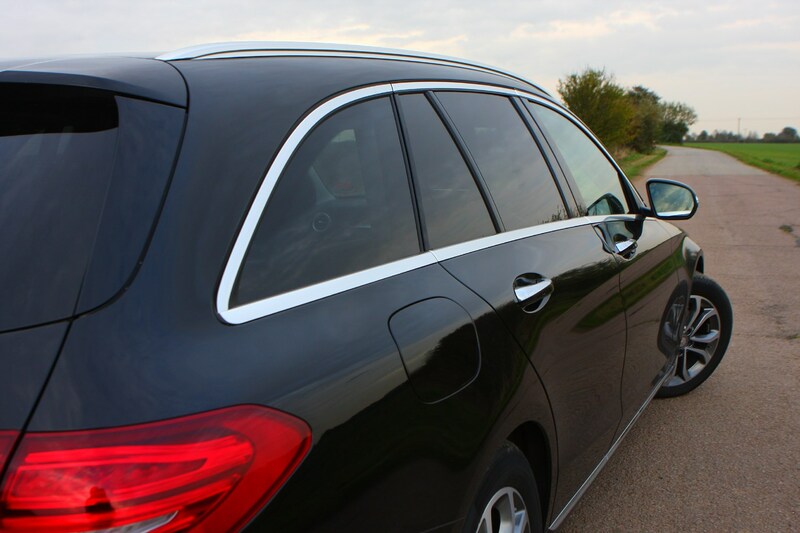 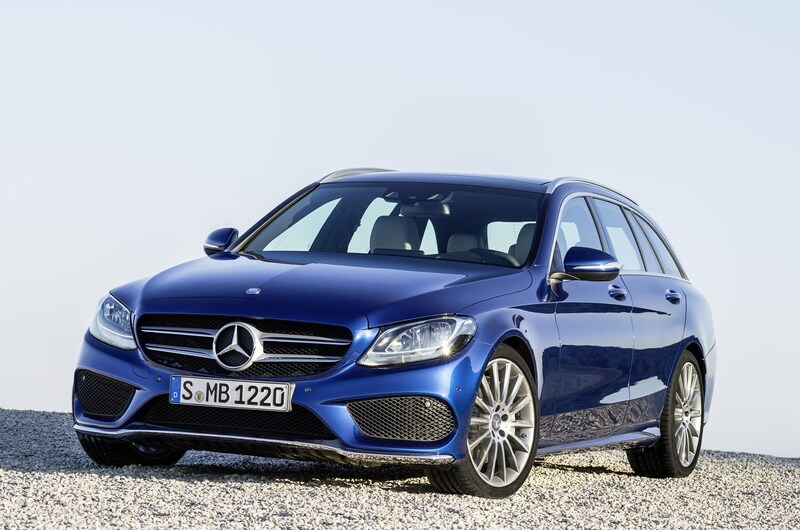 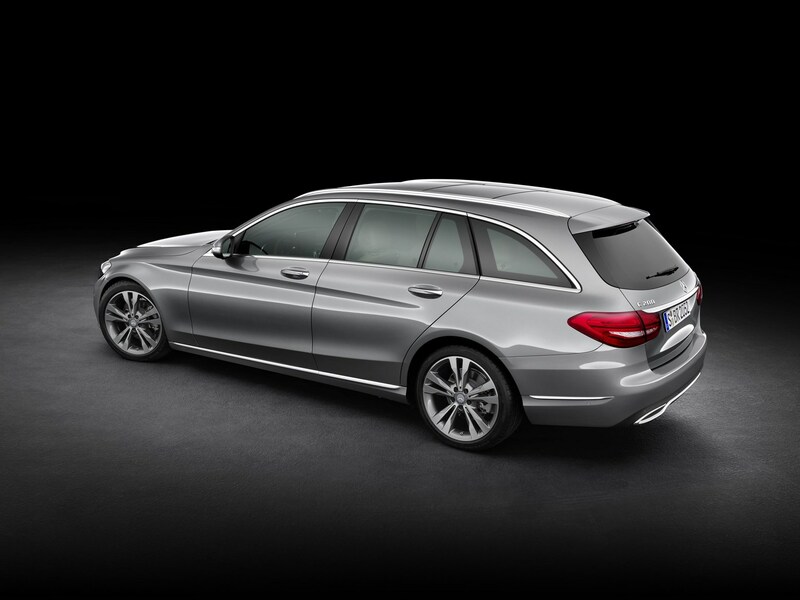 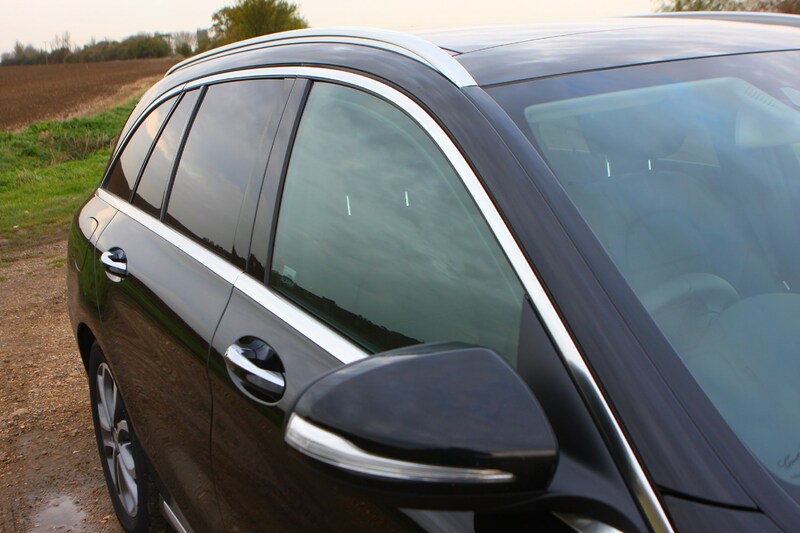 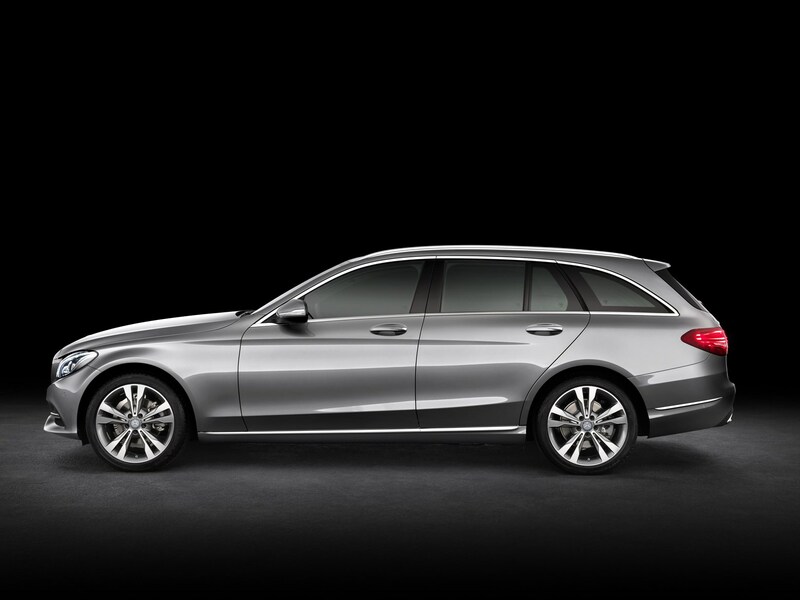 Mercedes’ best selling model in the firm’s UK arsenal is the C-Class, with the Mercedes-Benz C-class estate accounting for 20 percent of that. 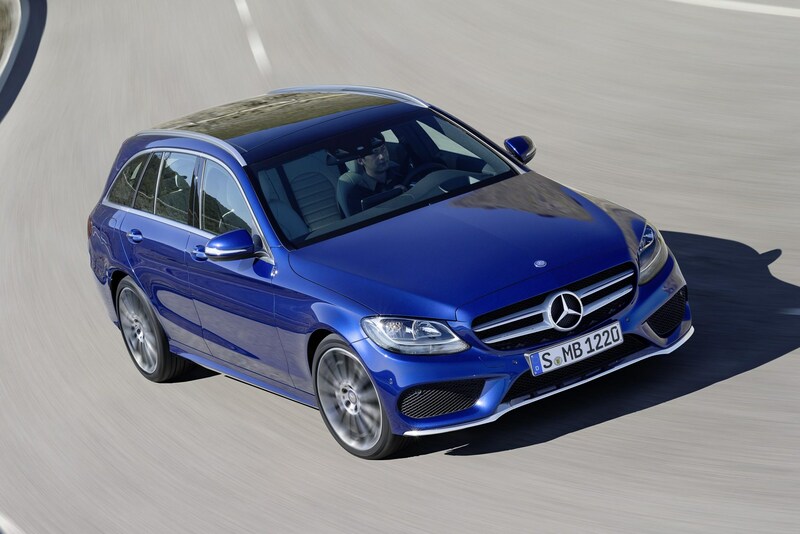 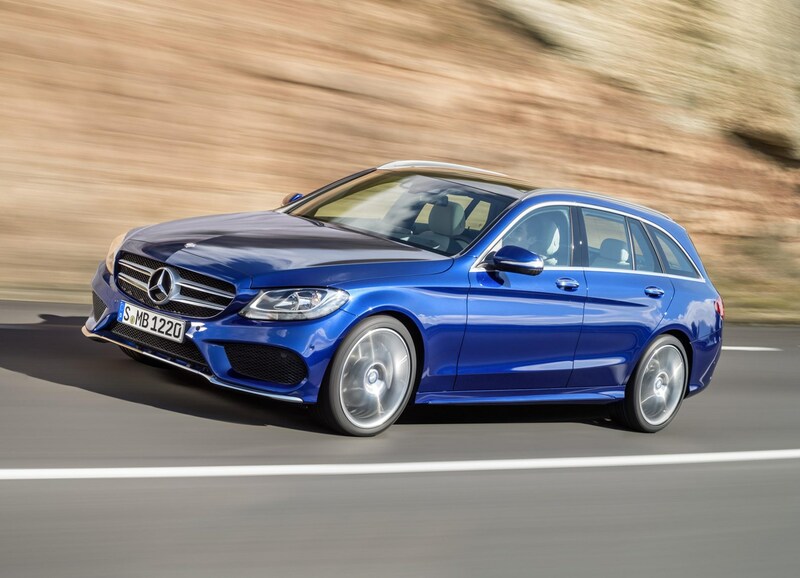 Competing against the BMW 3 Series Touring and Audi A4 Avant it’s fighting a difficult battle, but Mercedes believes this version can build on the practicality, technology, efficiency and style of its predecessor to take it to the top. 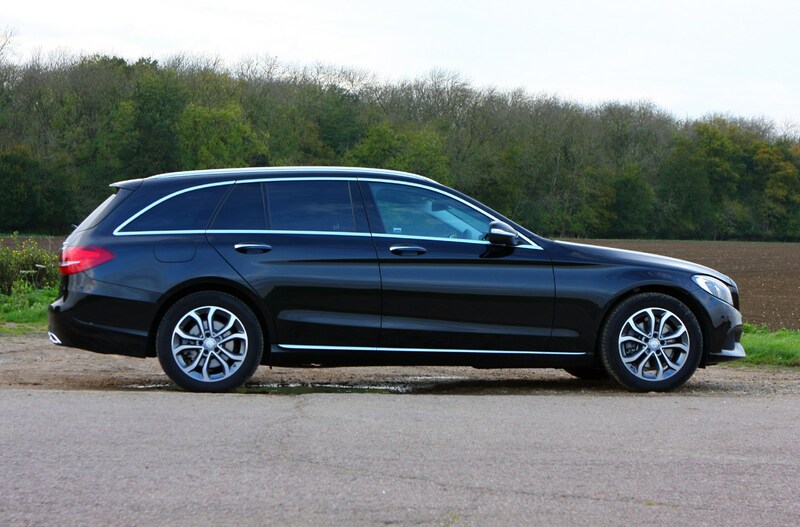 Expect the biggest estate in the sector and you’ll be disappointed, as Mercedes is keen to see the new C-Class estate as a lifestyle leader rather than a load-lugger – think outdoor pursuits and small boats being towed and you have it. 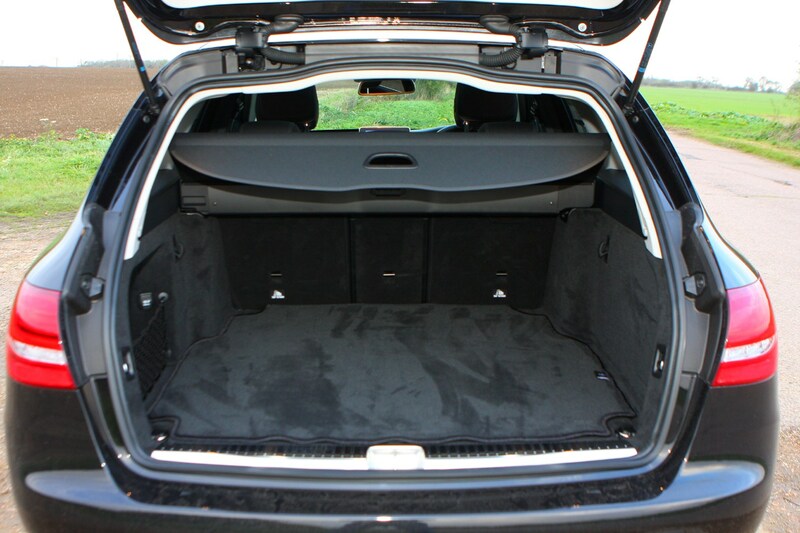 That said the boot space is, of course, larger than before. 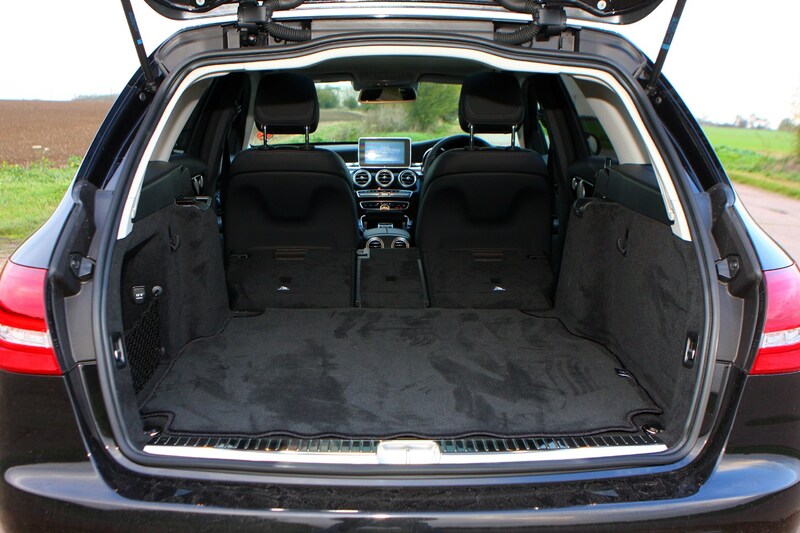 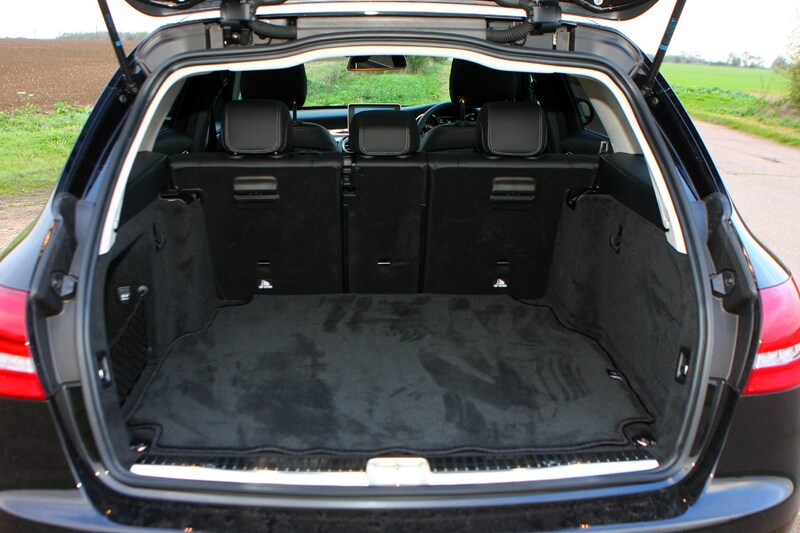 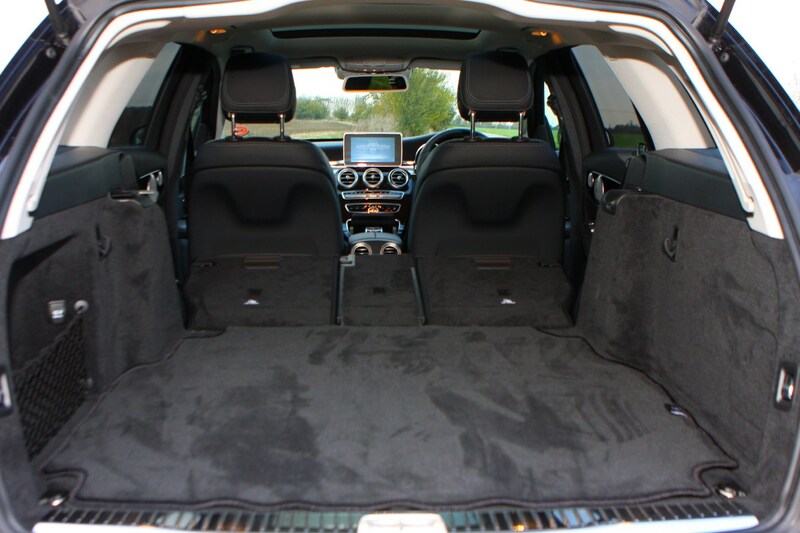 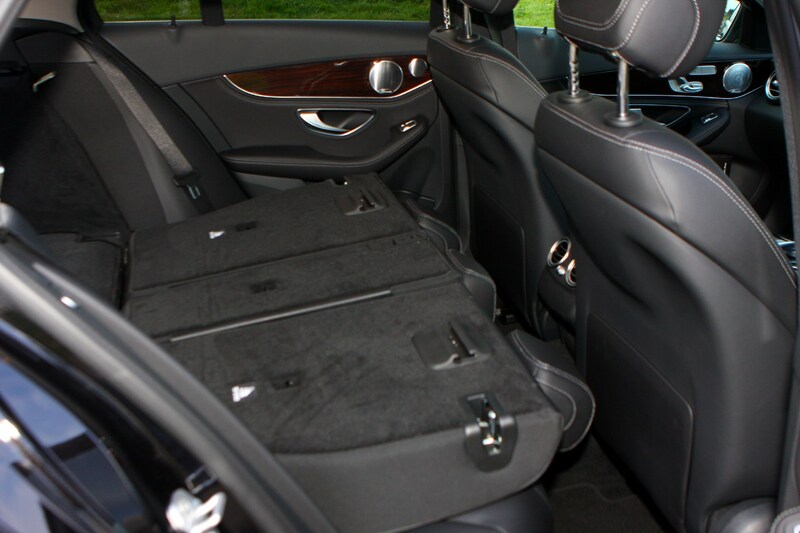 With the seats in place it has grown by five litres to 495 litres and with the seats folded down an increase of 10 litres takes the maximum space to 1,510-litres. 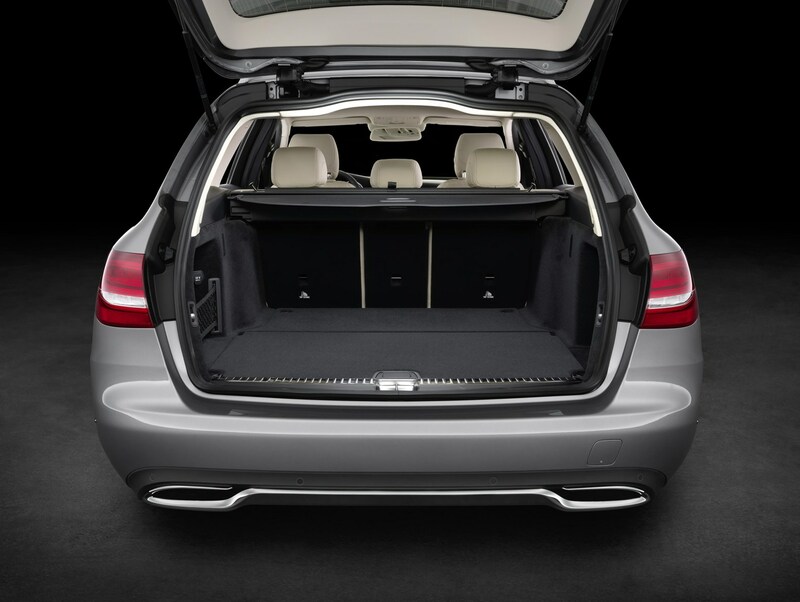 The boot opening is large and squarely shaped, with the interior impeccably well-trimmed as you’d expect, while the rear seat is now split 40/20/40 rather than the standard 60/40 configuration. 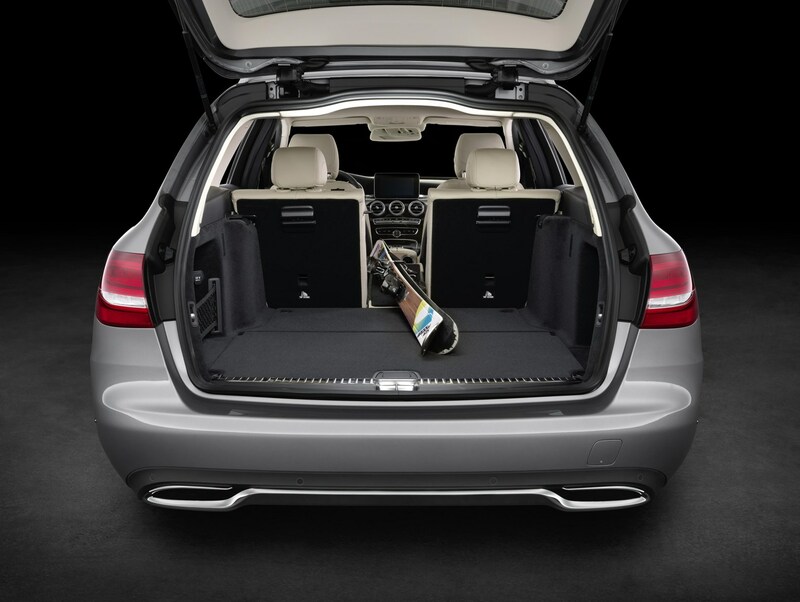 You don’t even need to clamber around to release the catches, thanks to controls located next to the seats and at the rear of the boot which allow the backrests to be folded electrically. 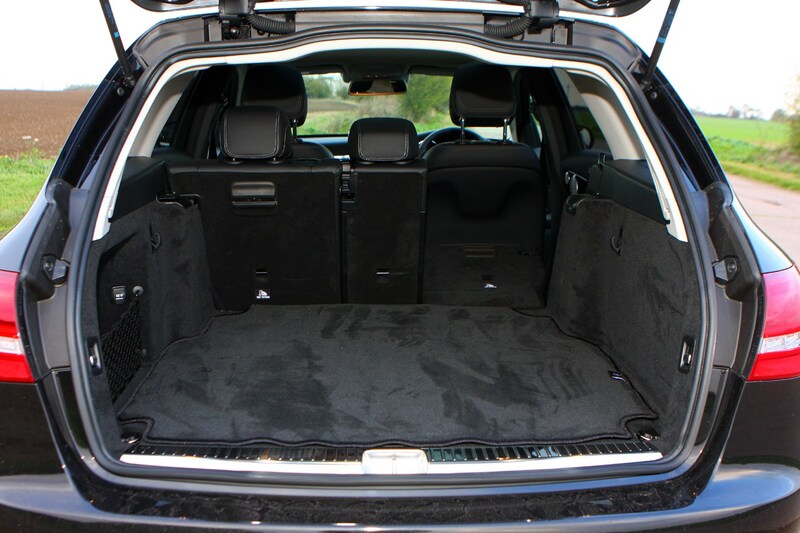 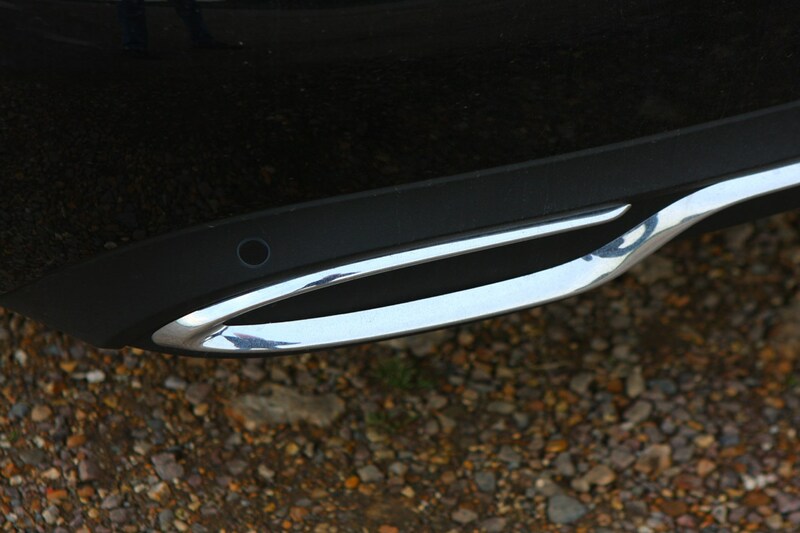 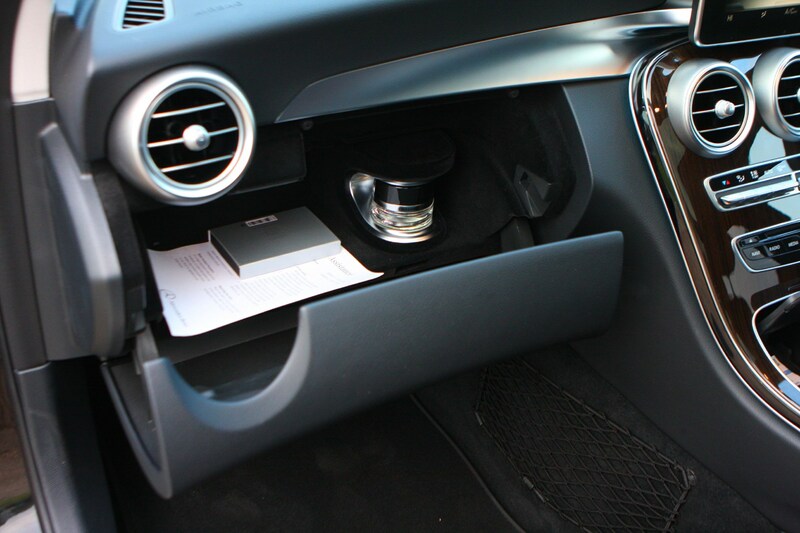 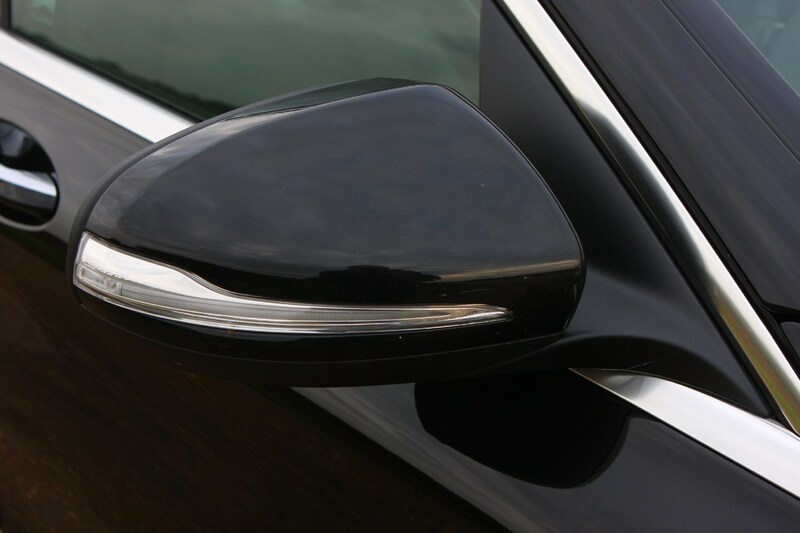 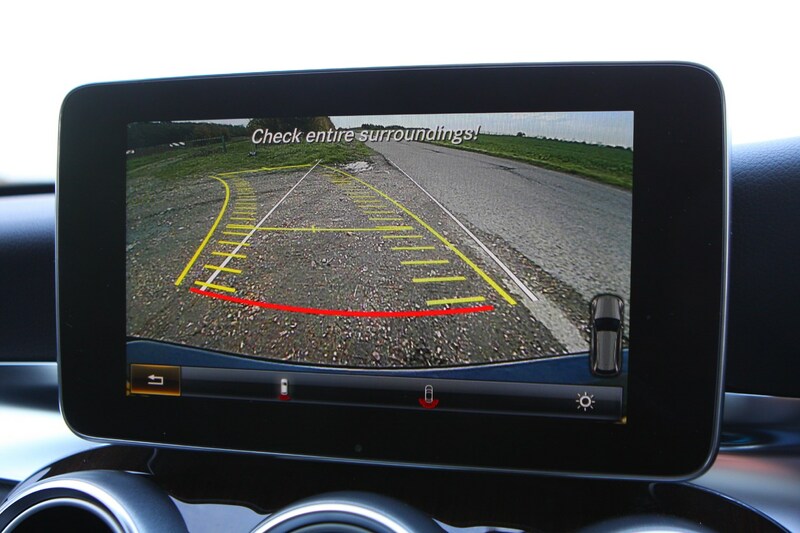 And if you’ve got armfuls of shopping when returning to the car, as long as you’ve ticked the correct option box, a simple wave of your foot under the rear bumper will open the tailgate for you – allowing you to place items in without hassle. 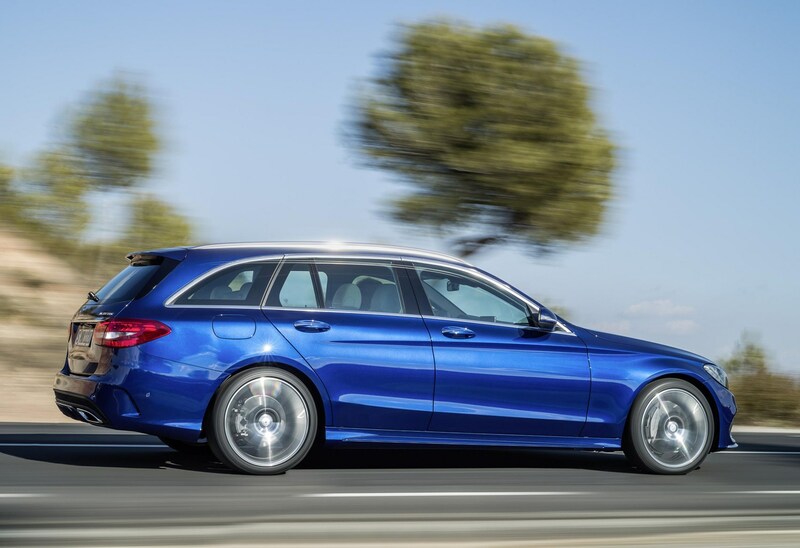 As you’d expect the majority of UK C-Class estates will arrive in dealerships with a diesel engine under the bonnet, of which there will be a pair to choose from at launch. 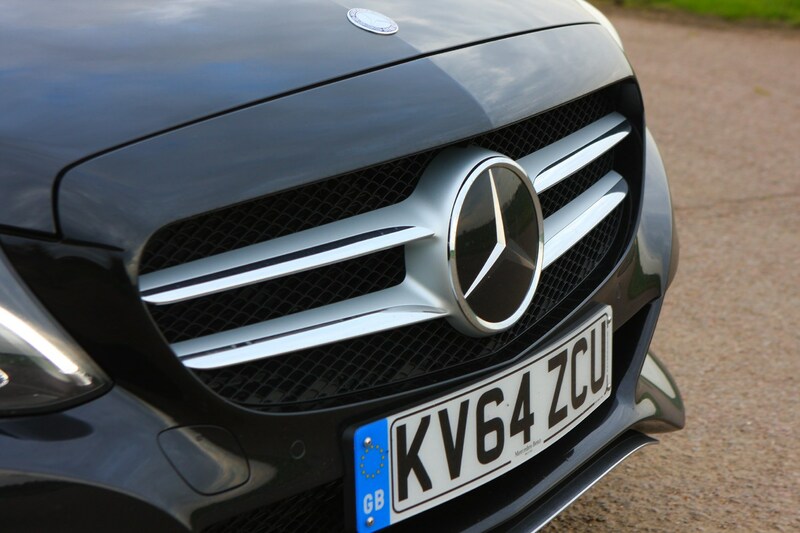 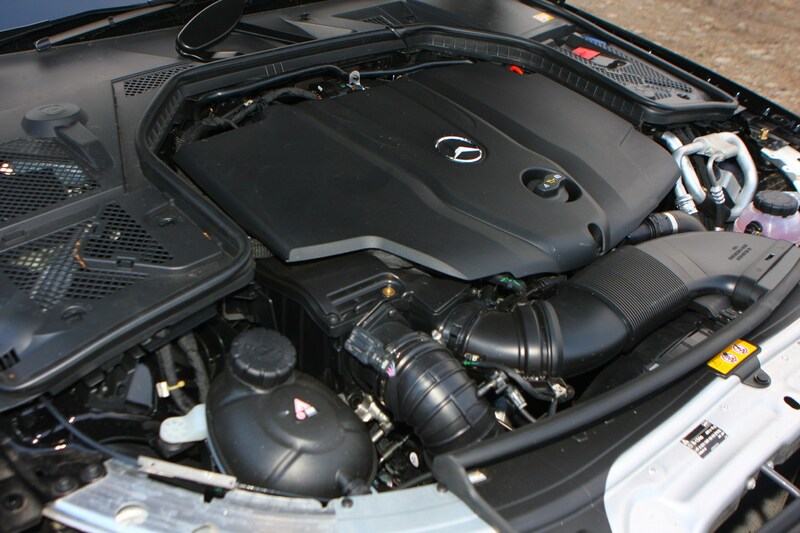 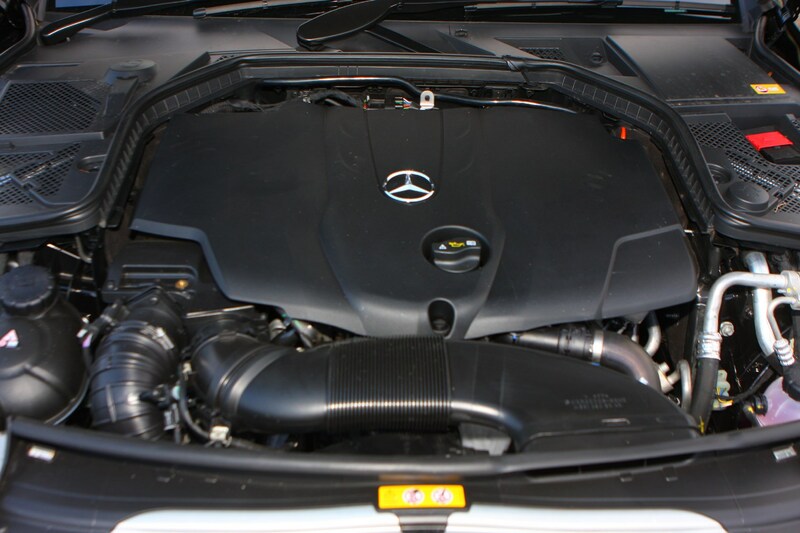 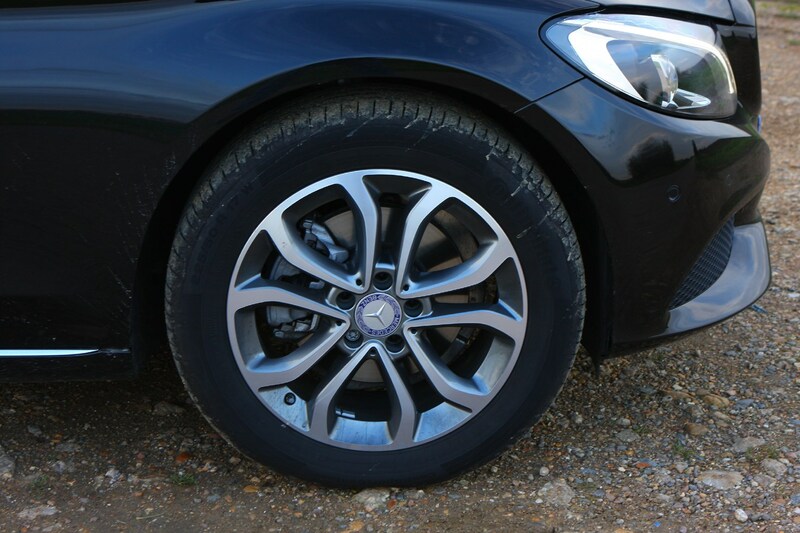 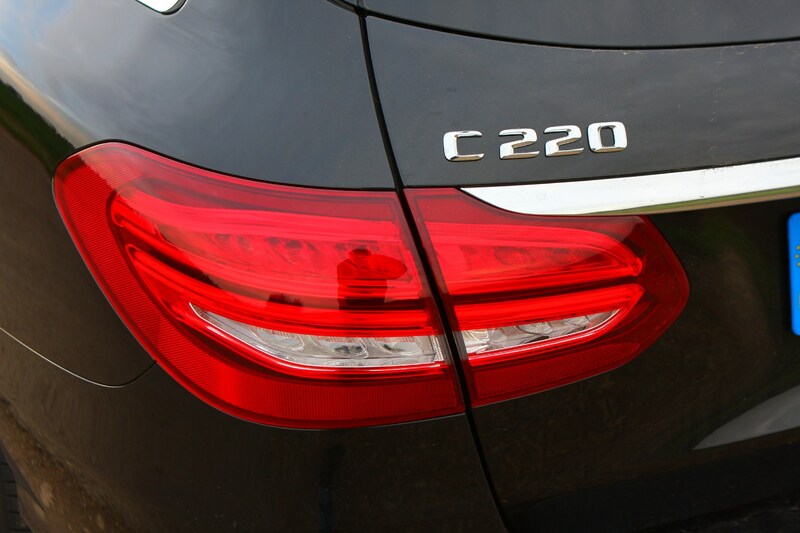 Both are the same 2.1-litre four-cylinder unit, but the C220 BlueTEC produces 168bhp and the C250 BlueTEC makes 201bhp, with corresponding differences in torque. 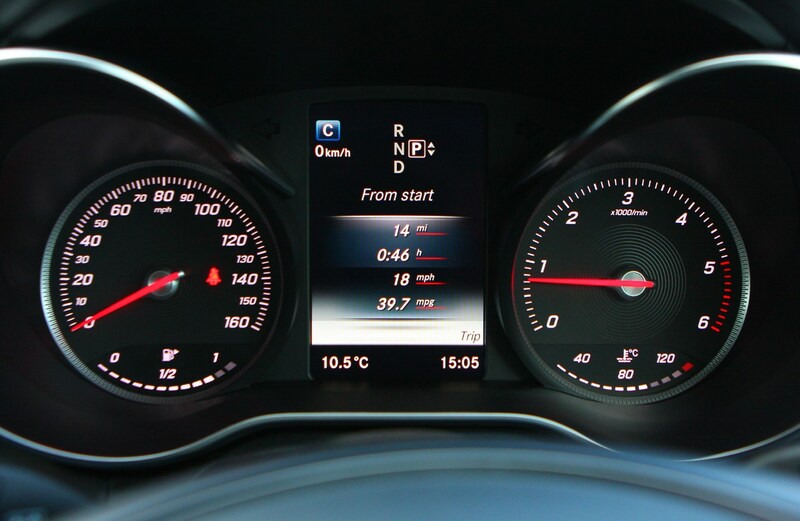 That said both slip under 120g/km for CO2 output and can achieve over 60mpg with a light right foot. 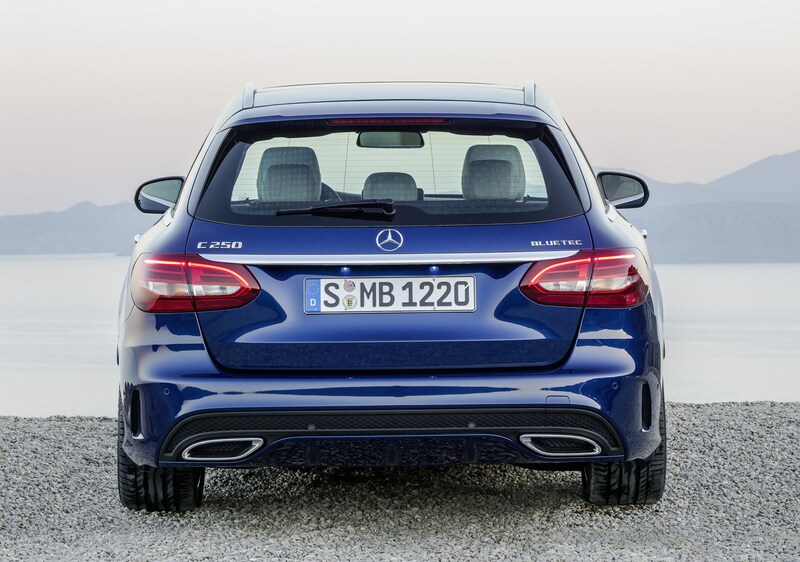 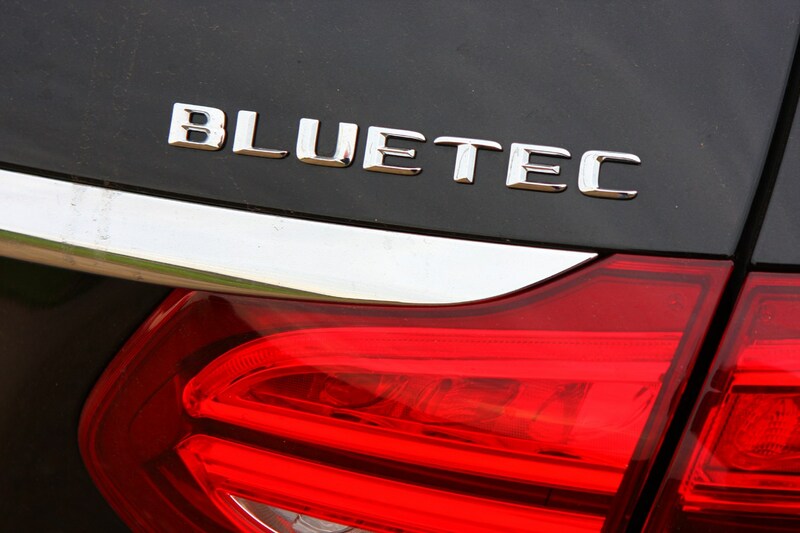 Later there’ll be a C200 BlueTEC diesel with a 1.6-litre four-cylinder engine, and the C300 BlueTEC Hybrid which combines the 201bhp 2.1-litre diesel with a 27bhp electric motor for better performance, less emissions (sub 100g/km) and more economy (74.3mpg). 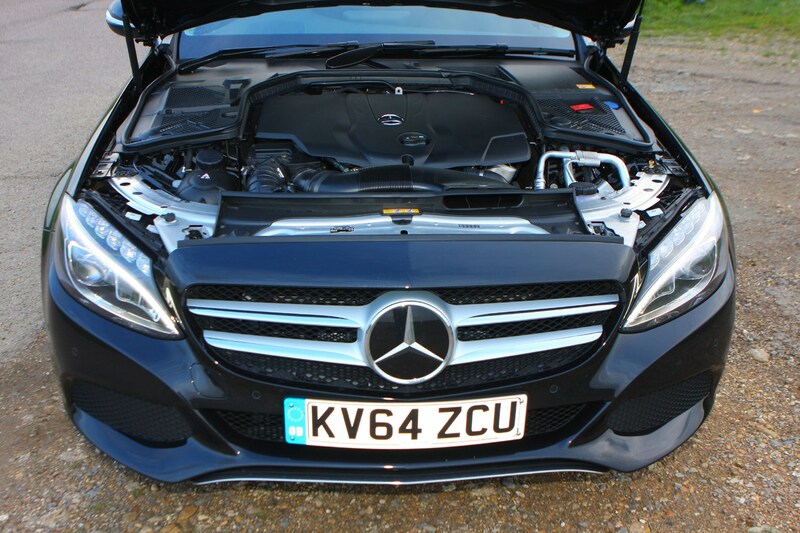 Petrol aficionados will have to look to the C200 petrol, which is surprisingly efficient and offers buyers the chance to take advantage of its 181bhp and over 50mpg combined economy. 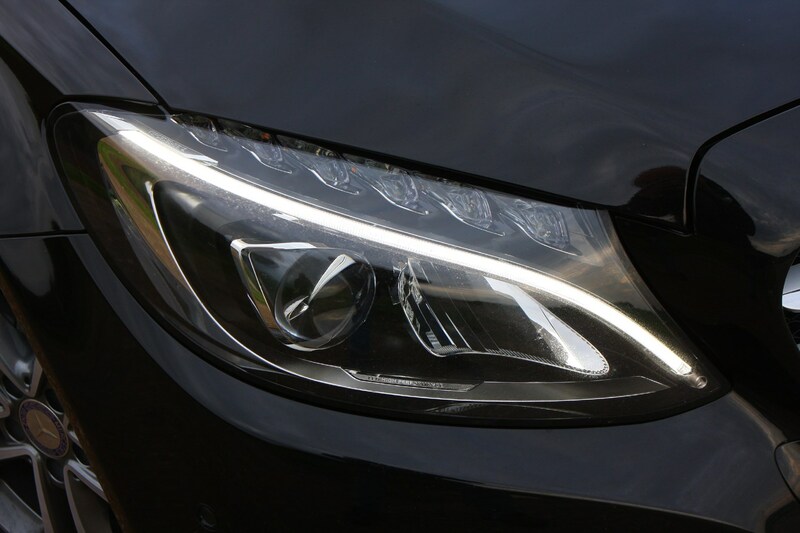 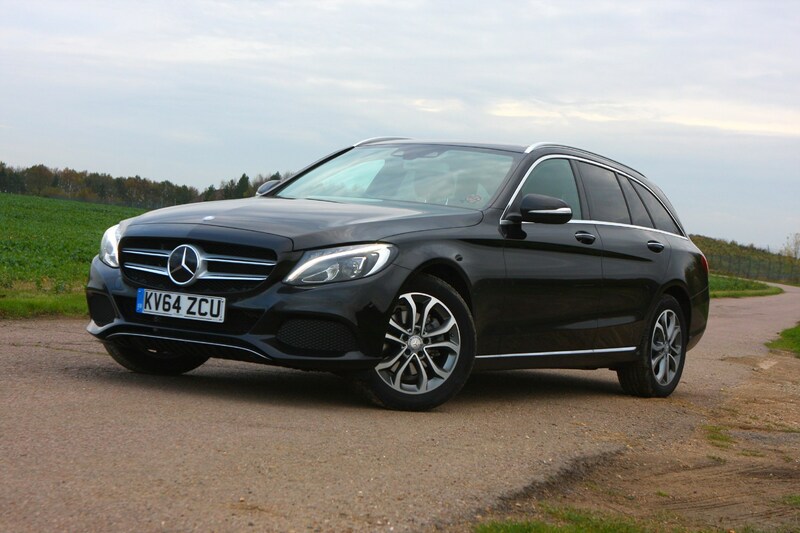 There’s also a six-speed manual gearbox available, but we’d stick with the excellent seven-speed 7G-Tronic automatic as it shifts smoothly and efficiently and is far better than the Mercedes tradition of vague manuals. 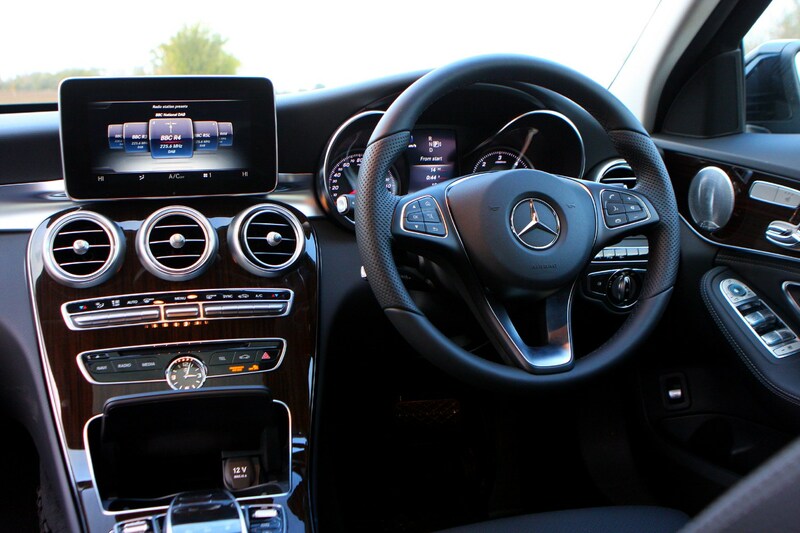 The new Mercedes C-Class cabin is a highlight of the current Mercedes range, and the estate takes its dashboard from the saloon. 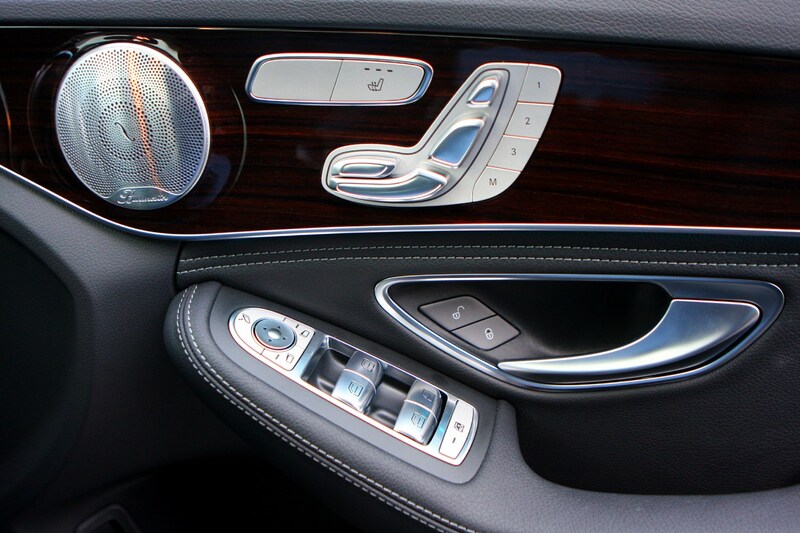 As such it looks fantastic, full of sweeping, flowing and curving lines and glossy-high-quality materials. 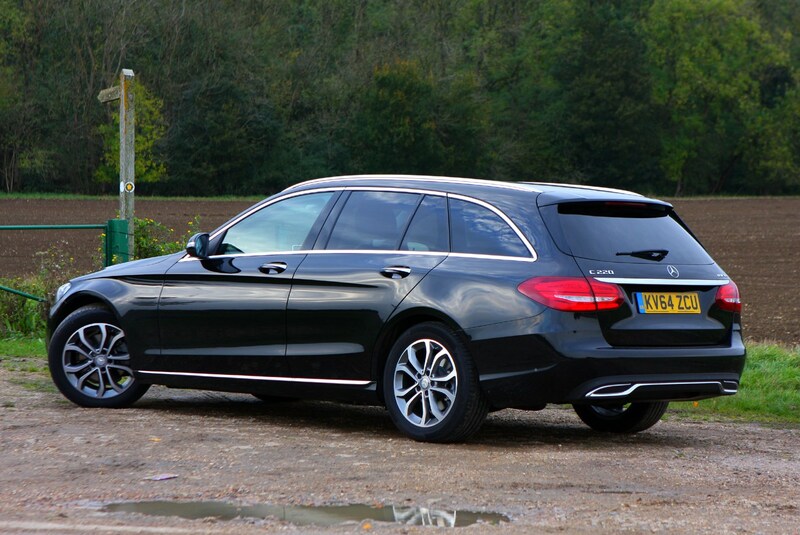 For image alone it certainly knocks all other contenders straight out of the ring. 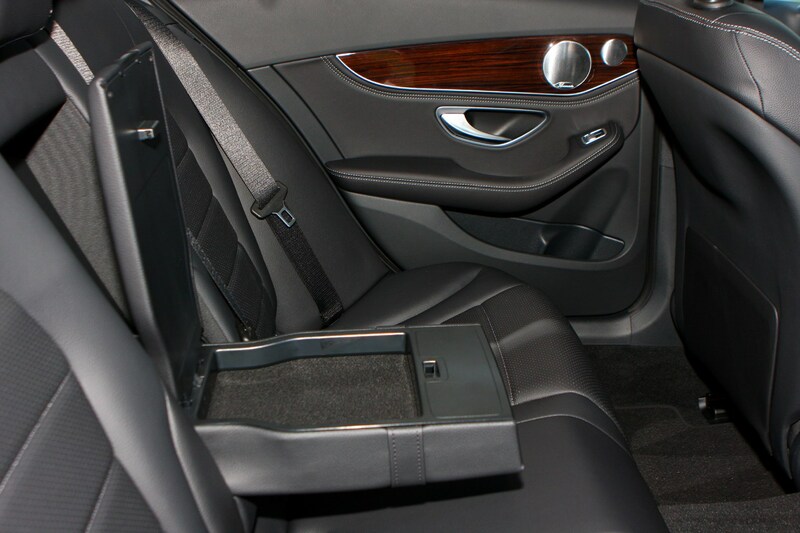 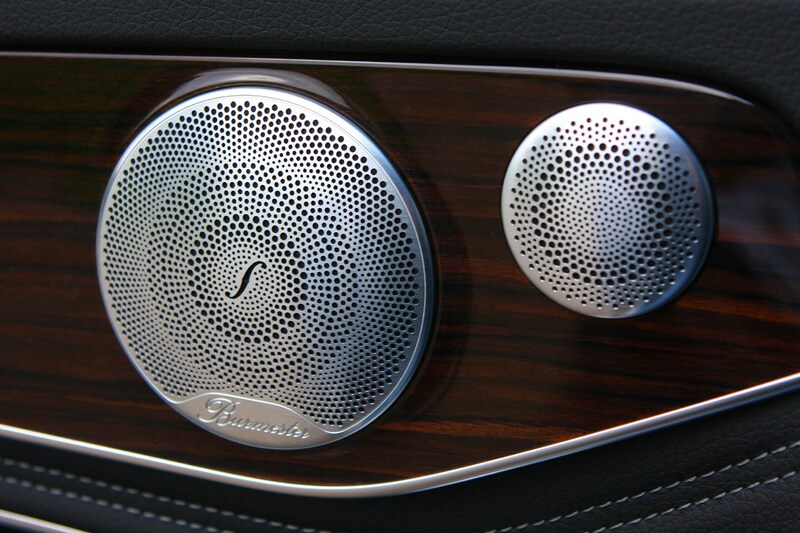 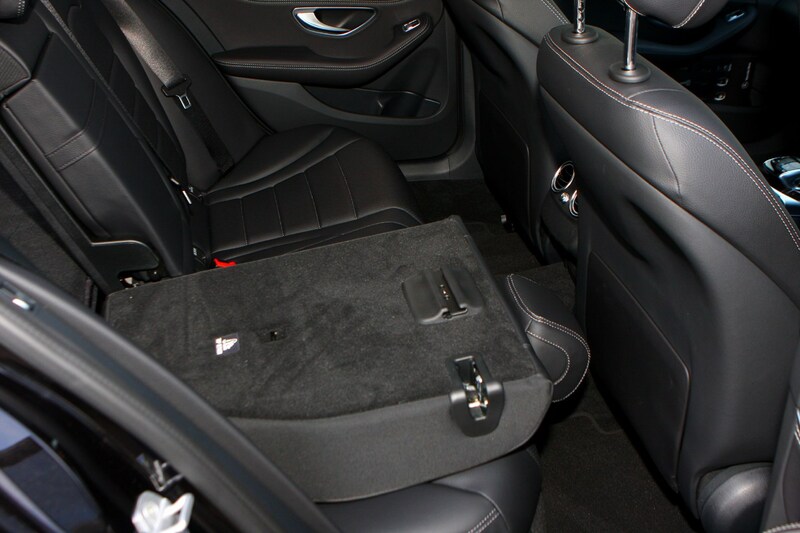 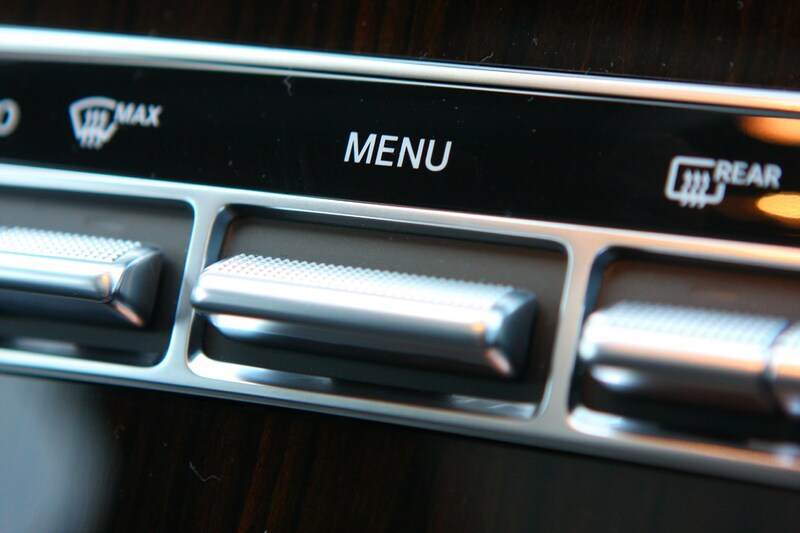 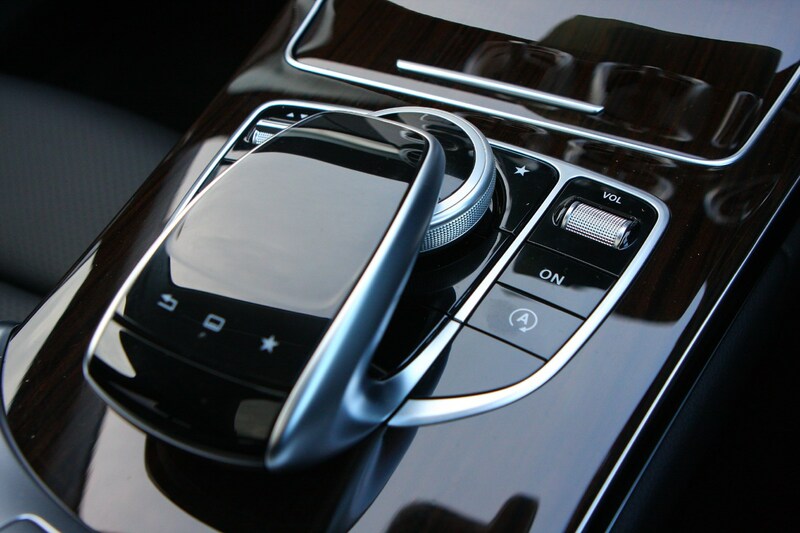 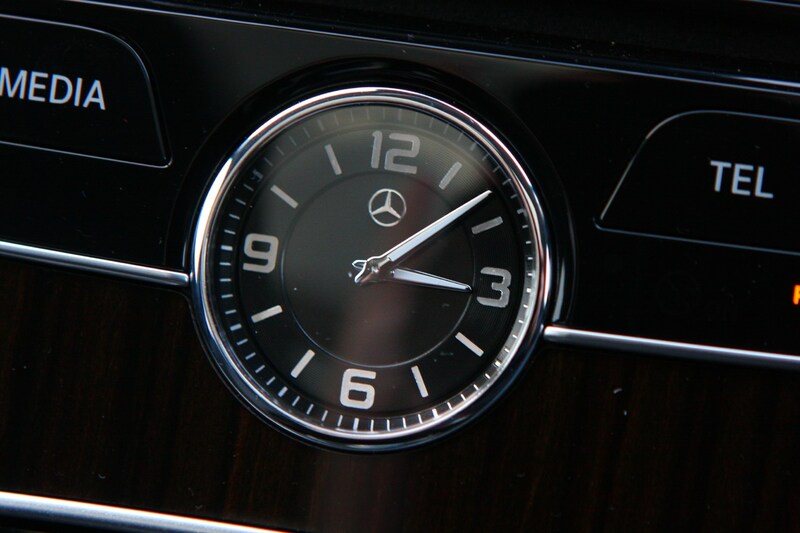 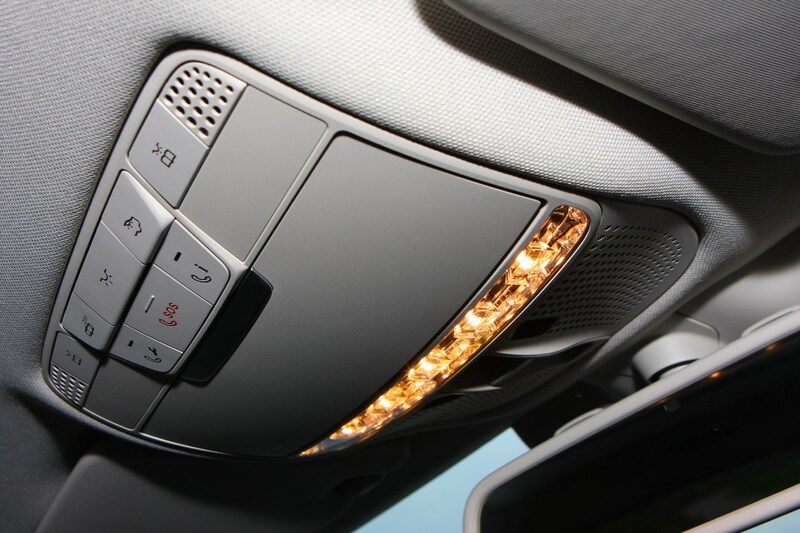 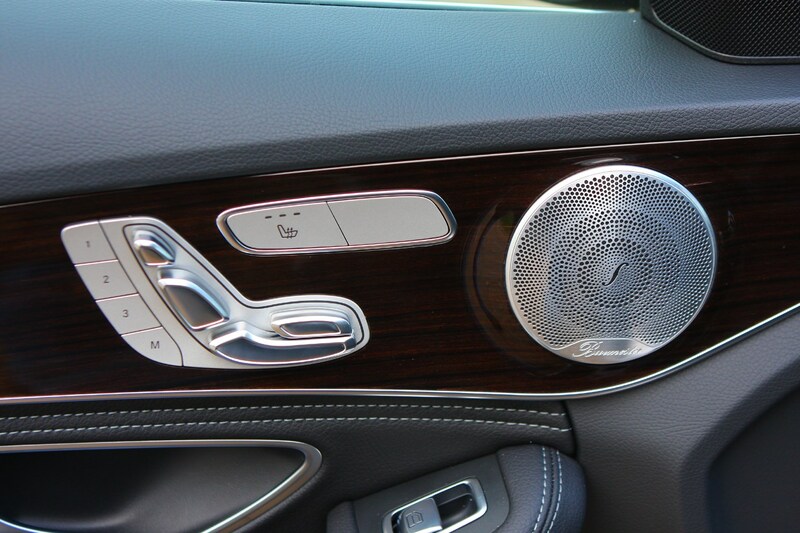 Debuting in the C-Class is the firm’s new Touchpad controller for the multimedia system, which uses a smartphone style interface to allow users to swipe, pinch and pull their way through the menus. 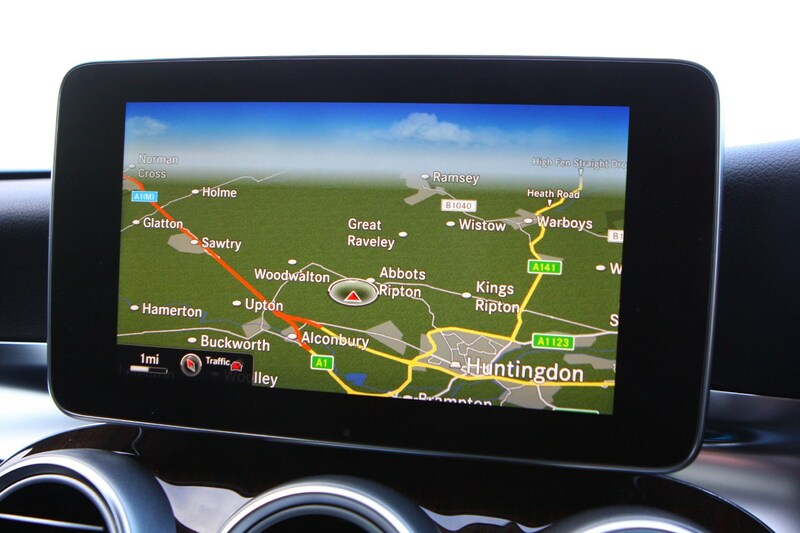 For those not completely tech-savvy with the latest iPhone it can take some getting used to, especially on the move, but there’s no denying how slick the interface is. 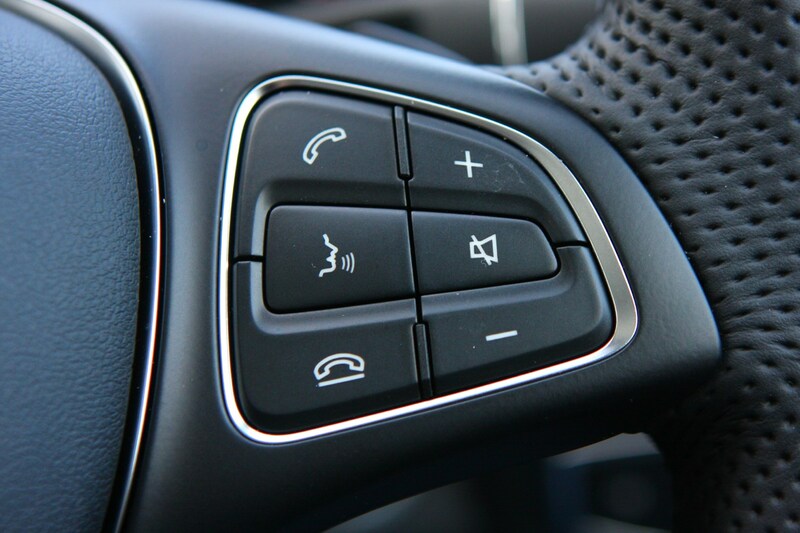 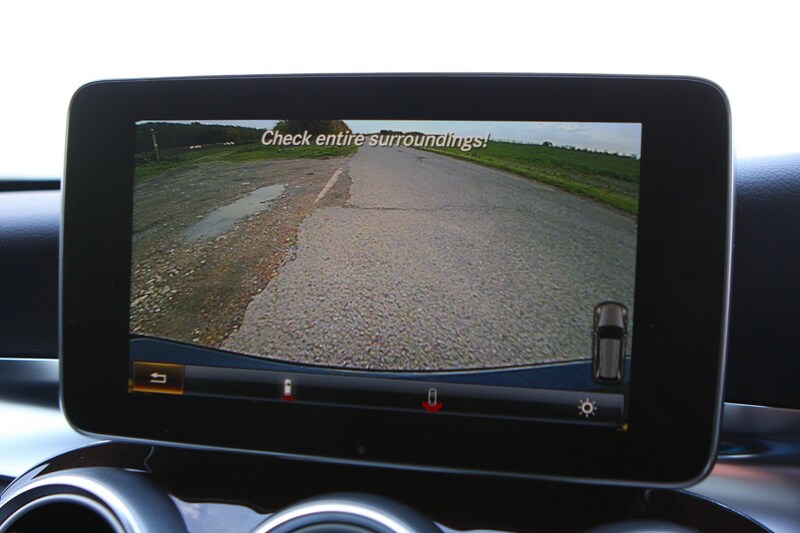 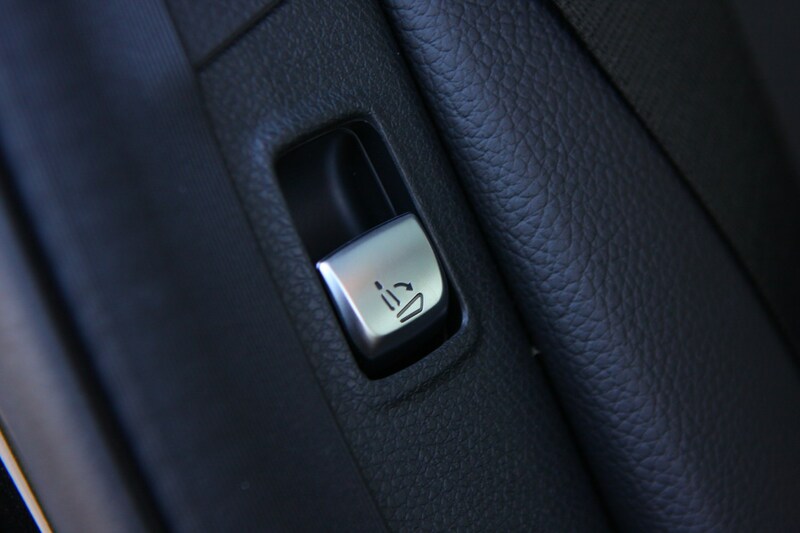 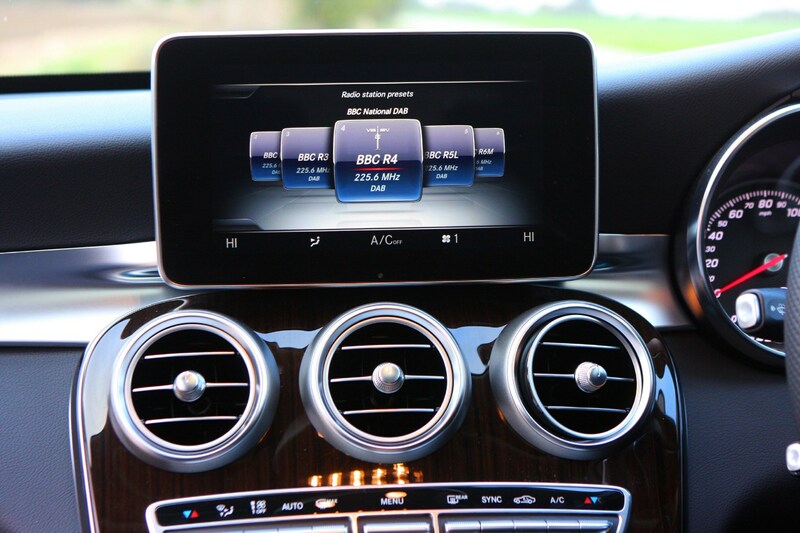 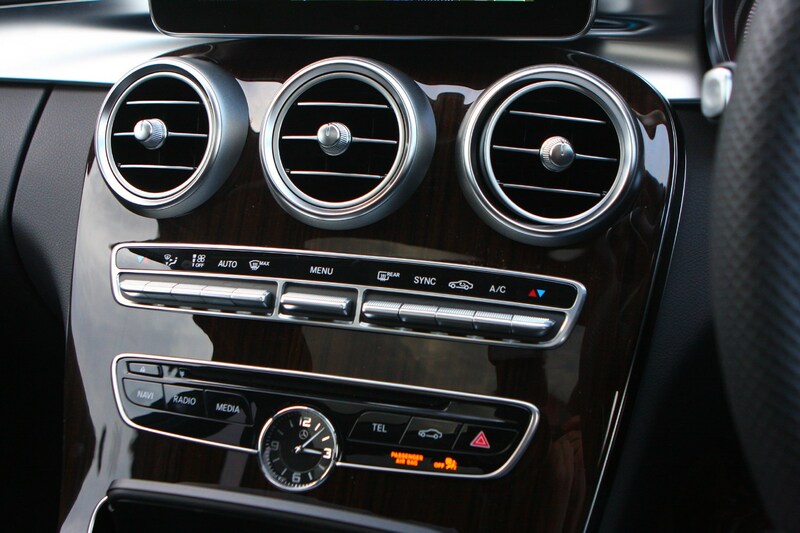 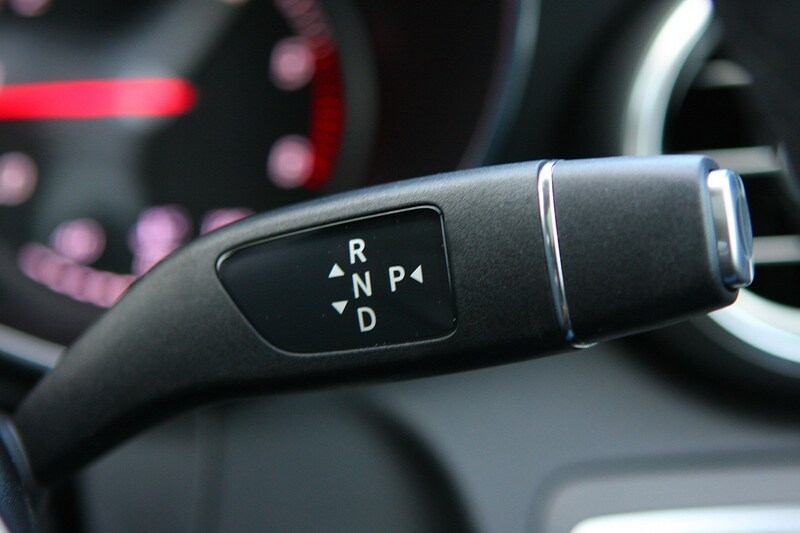 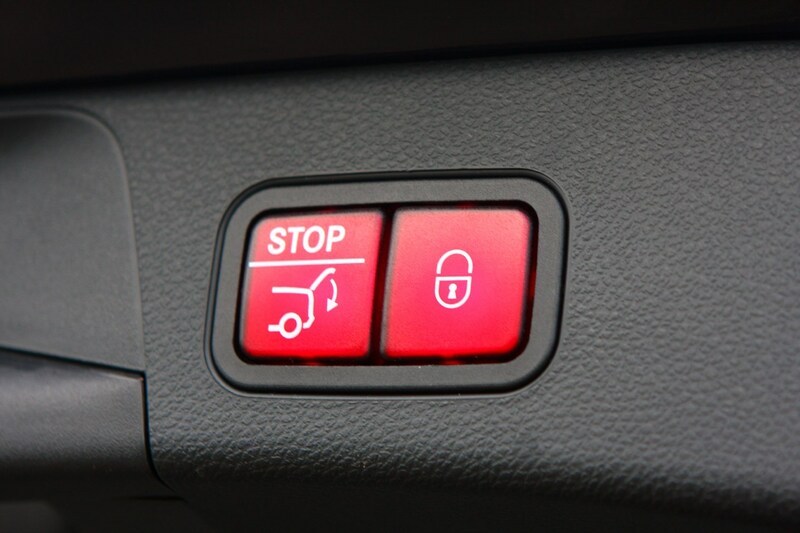 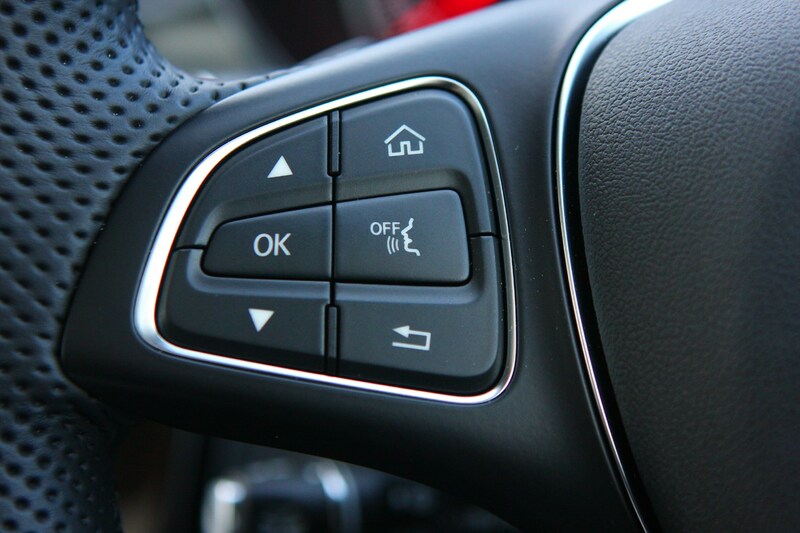 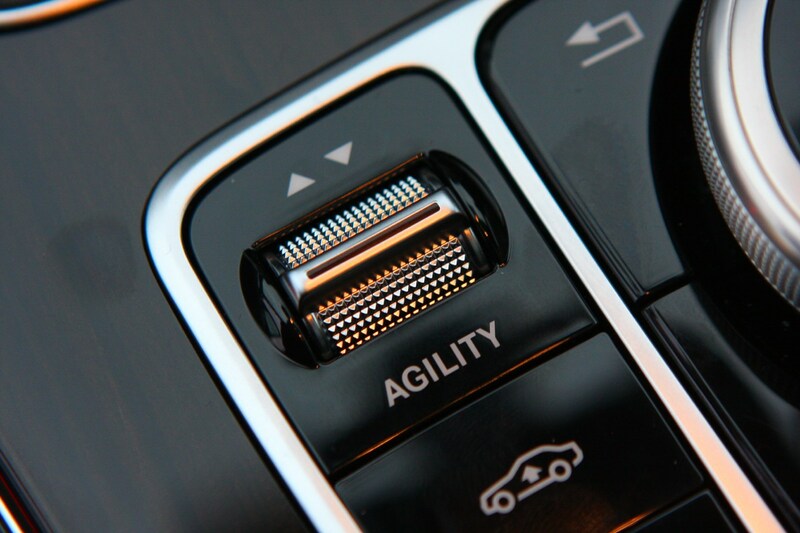 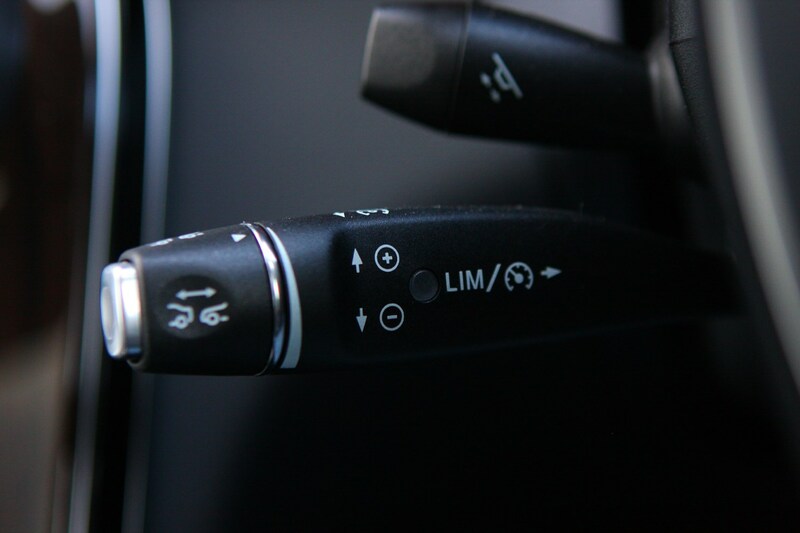 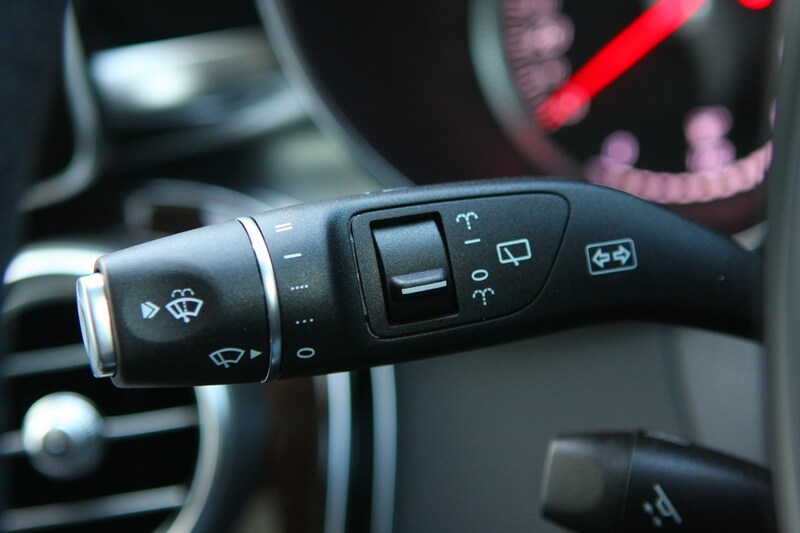 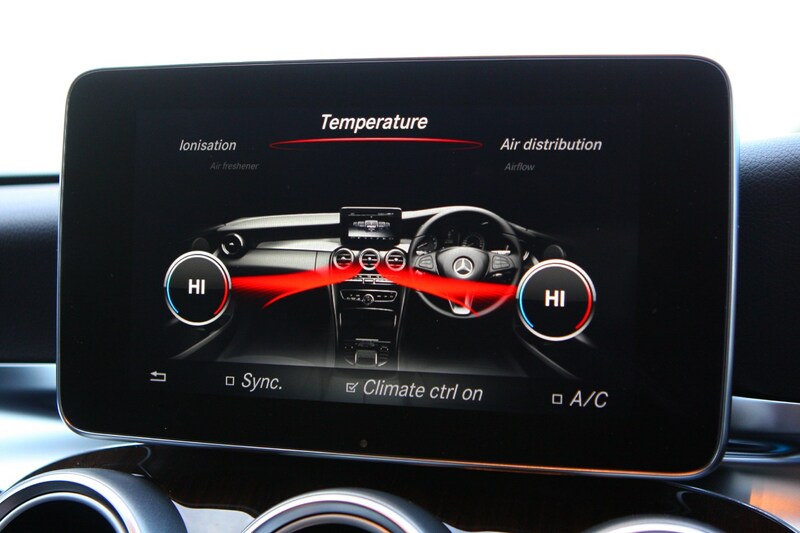 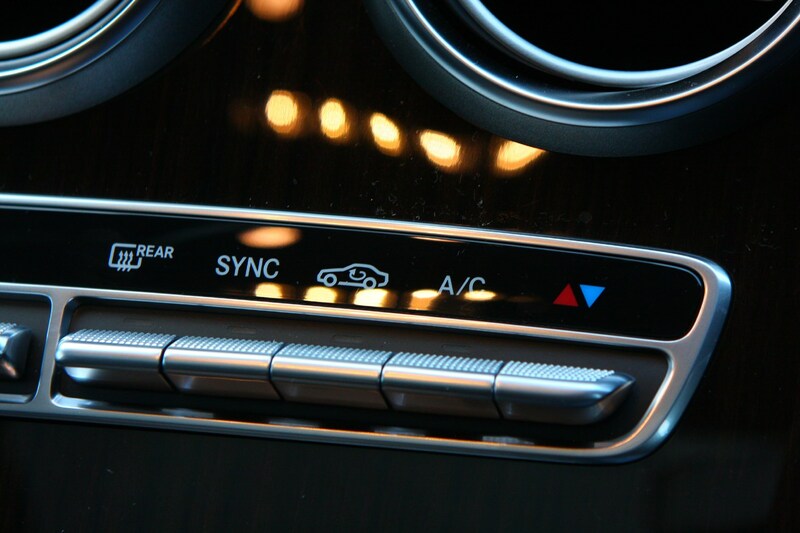 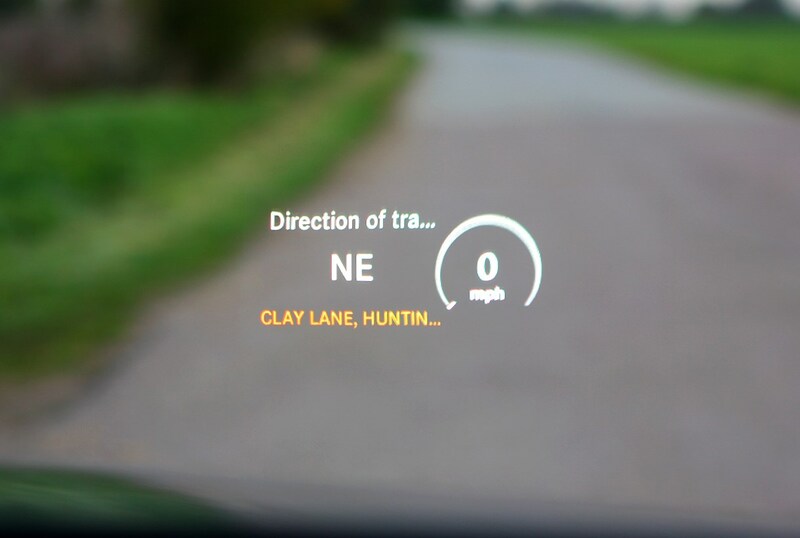 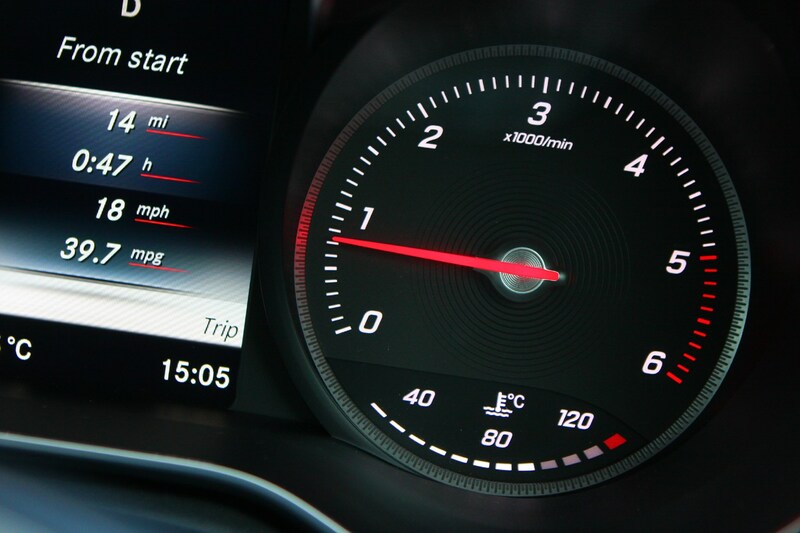 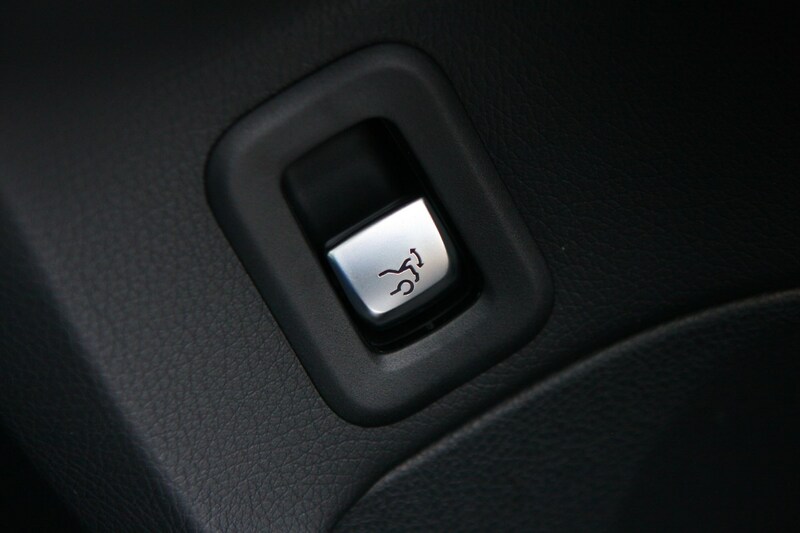 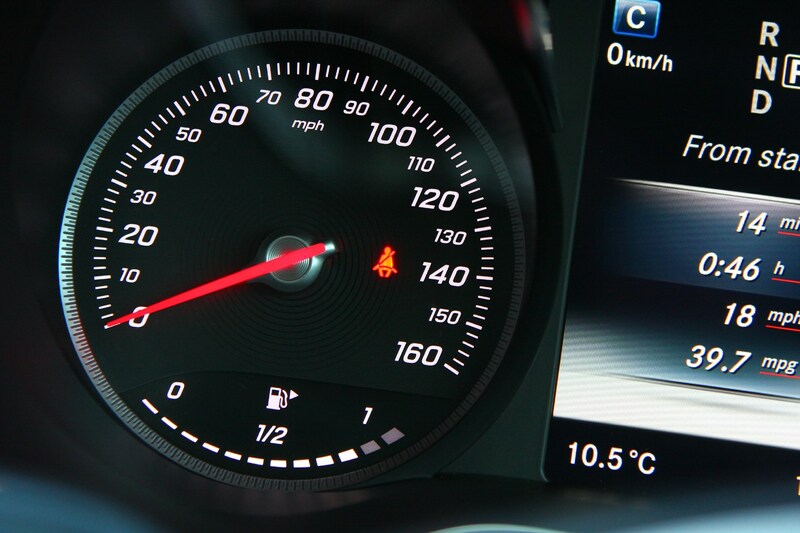 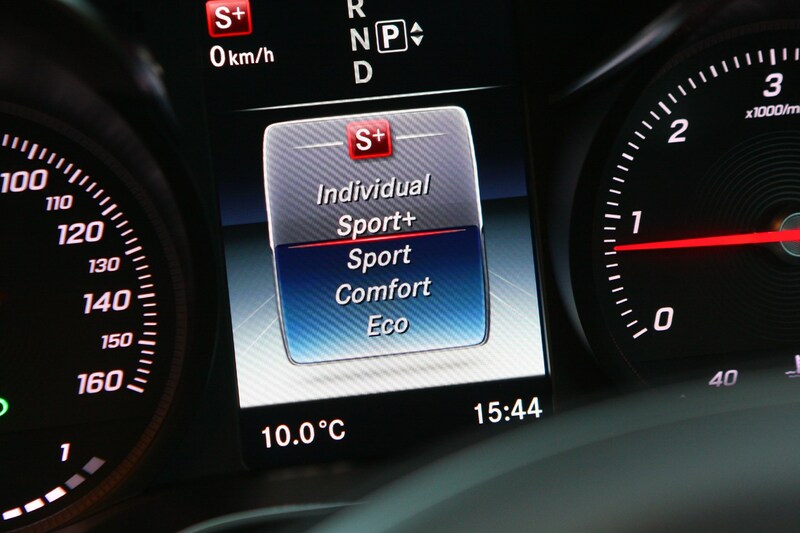 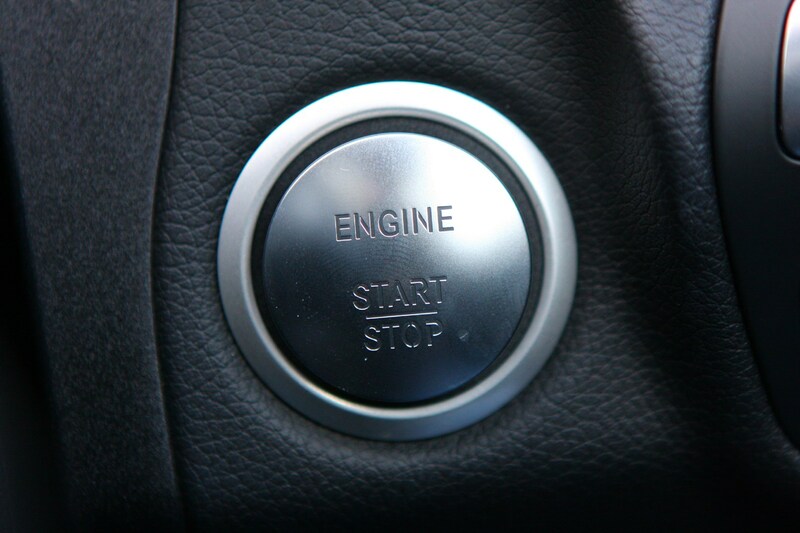 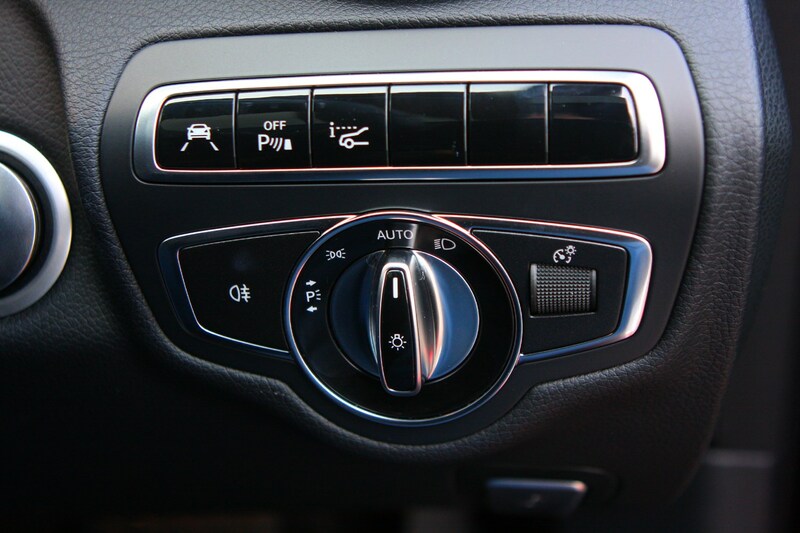 There’s a variety of apps available for C-Class owners as well for stationary Internet use, along with an optionally available remote connection with a Smartphone to allow for remote control of the car’s systems such as pre-heating or cooling of the cabin before a journey. 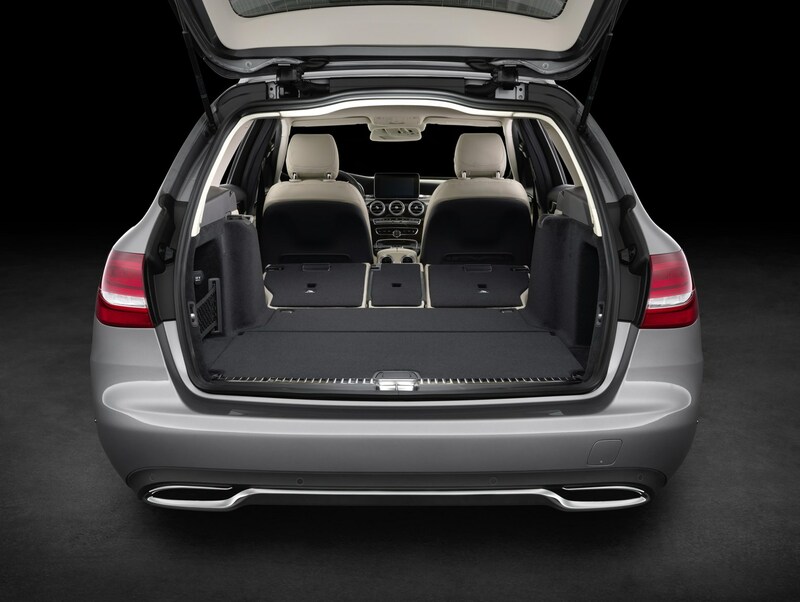 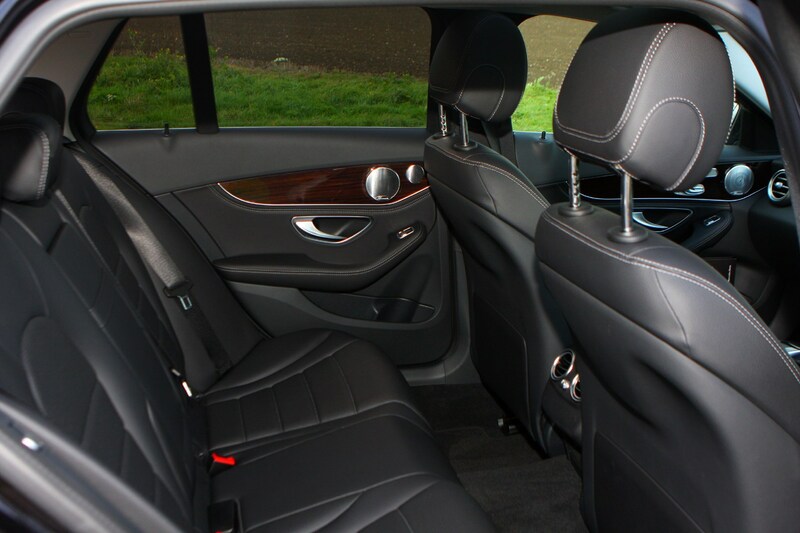 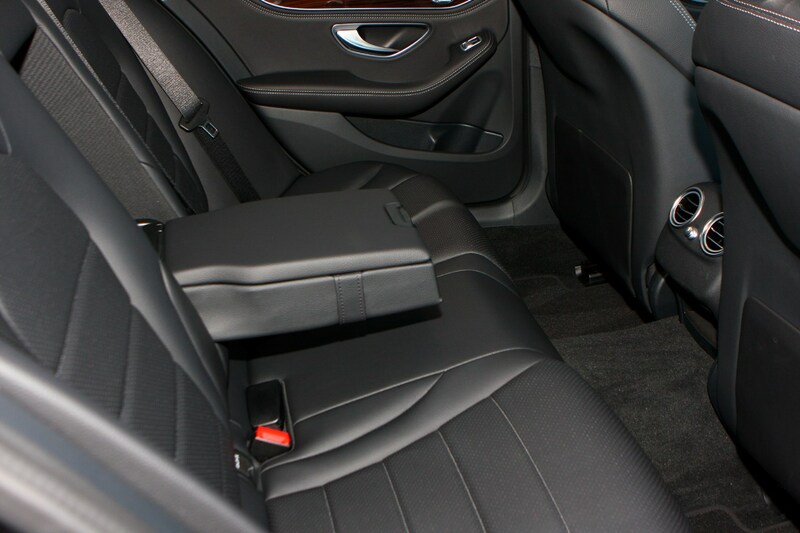 Those in the rear will benefit from the larger wheelbase over the predecessor with extra leg, shoulder and headroom available on the rear bench. 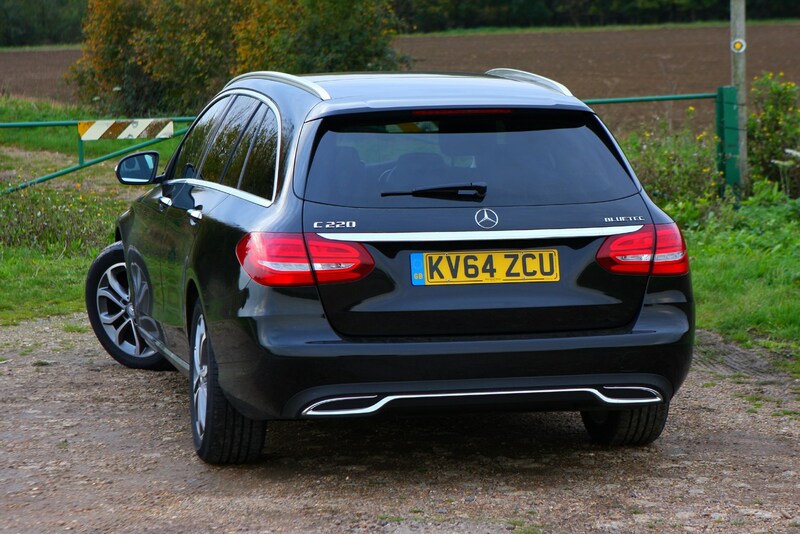 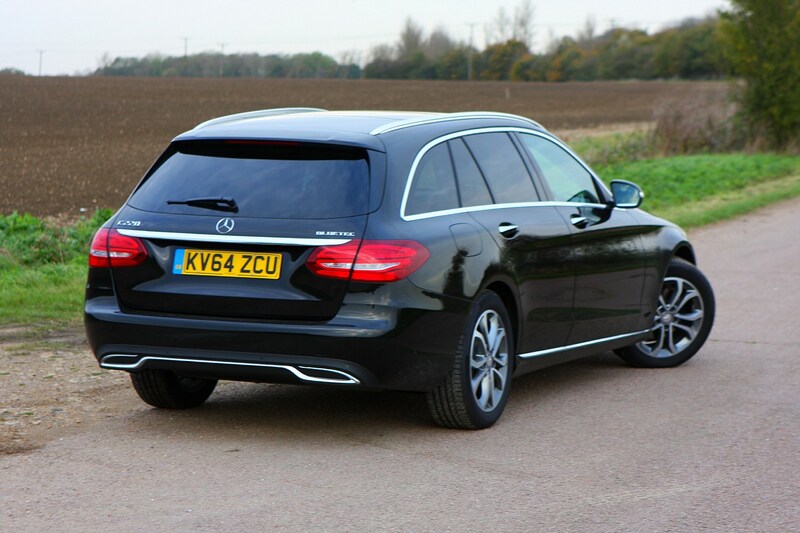 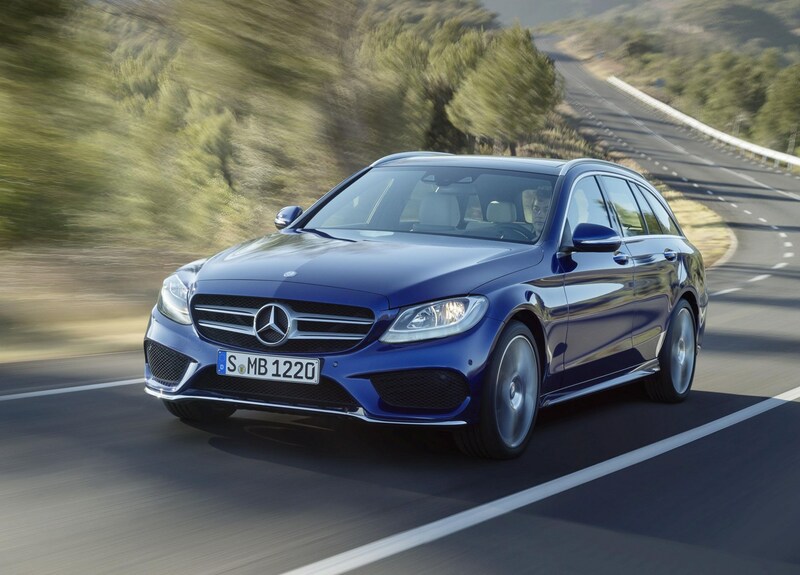 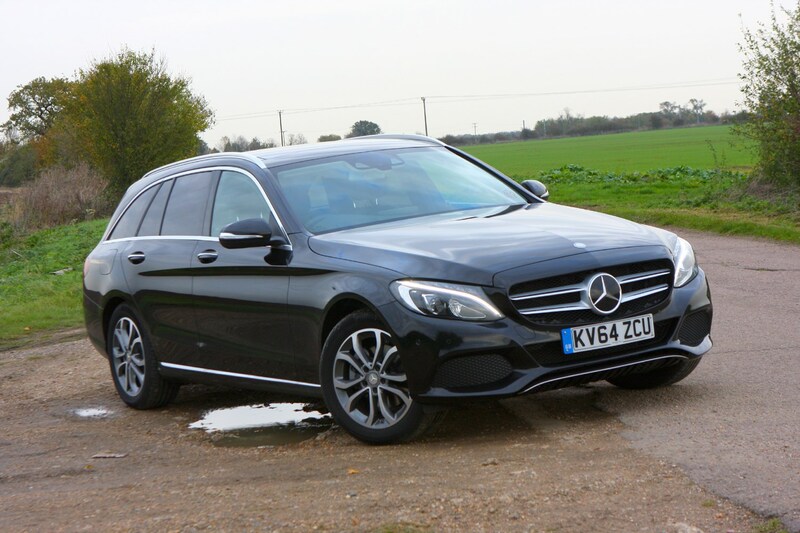 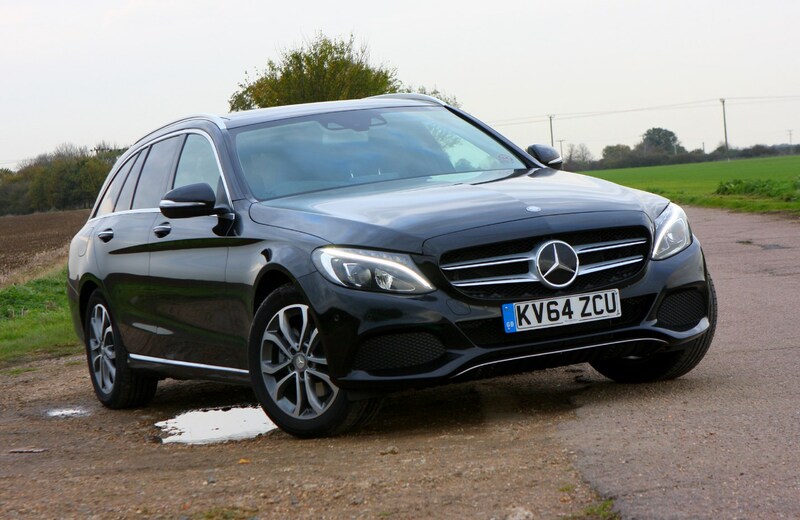 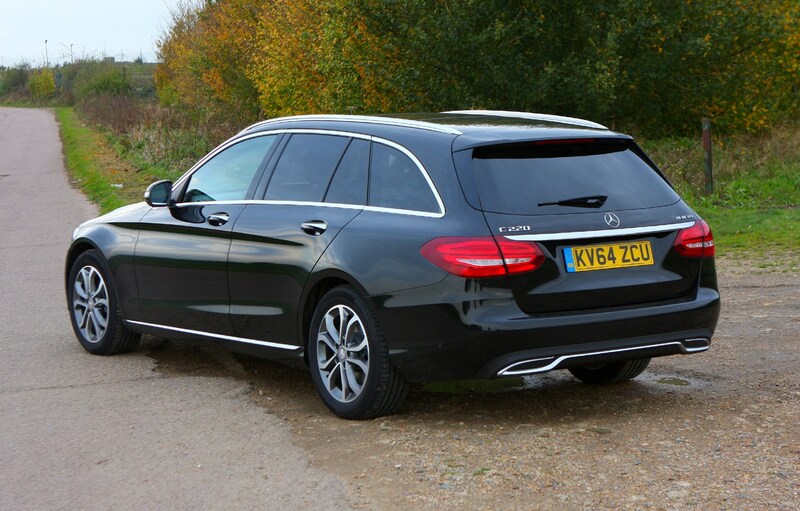 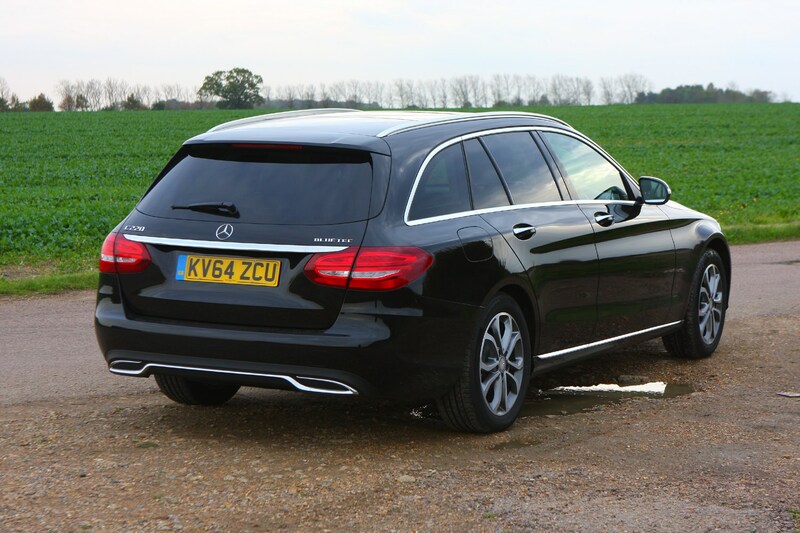 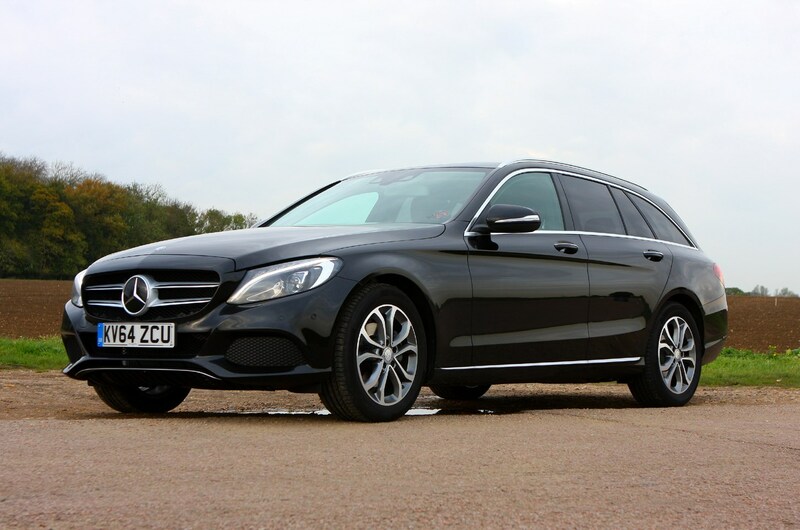 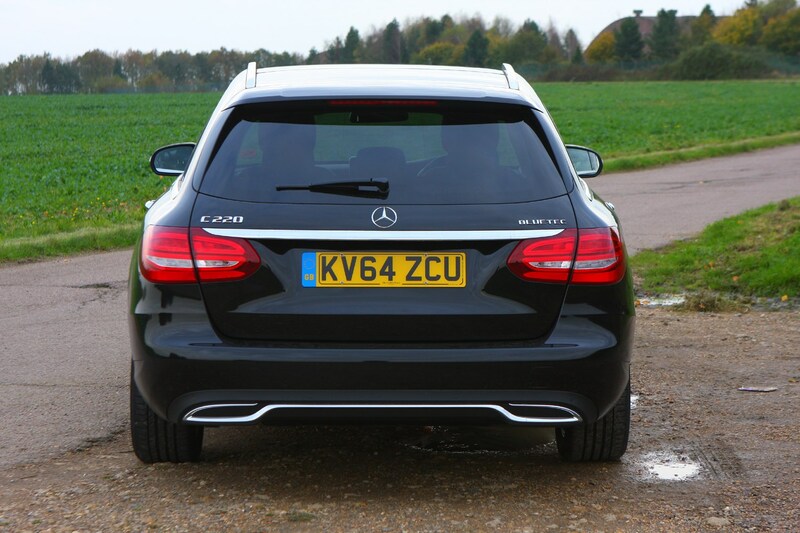 It’s certainly the best the firm has made yet, so read our Mercedes-Benz C-Class estate review to find out how it’s justified those four and a half stars.